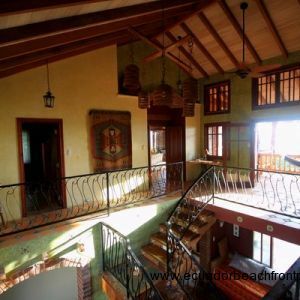 This breezy 4 bedroom beachfront villa features rustic Mediterranean architecture and decor and a separate one bedroom guesthouse. 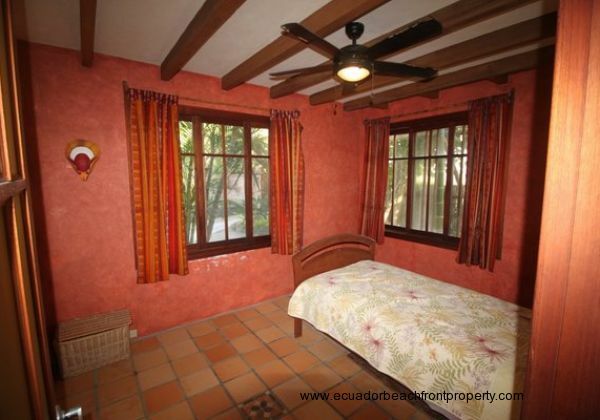 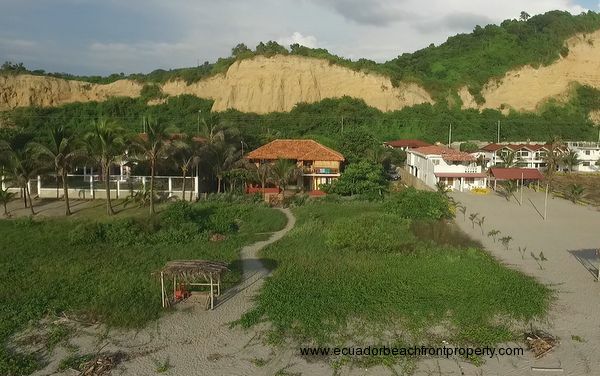 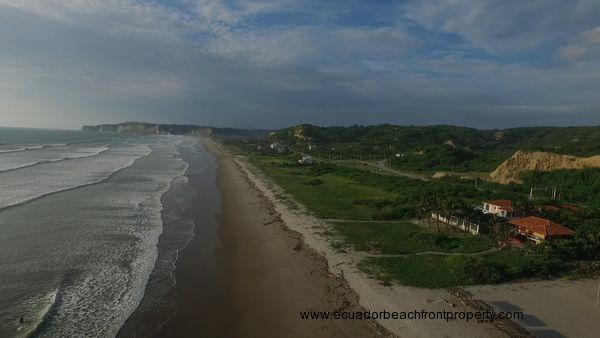 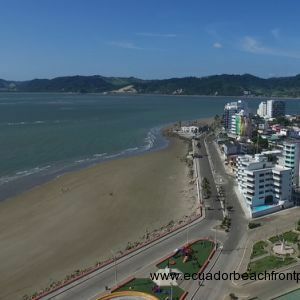 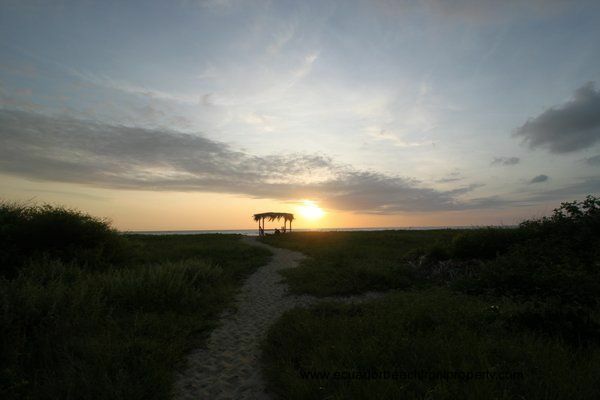 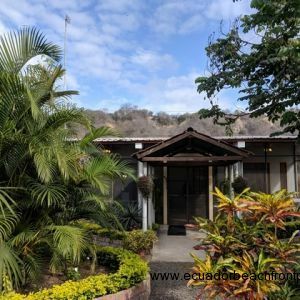 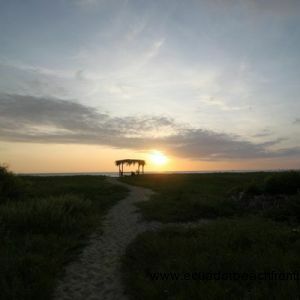 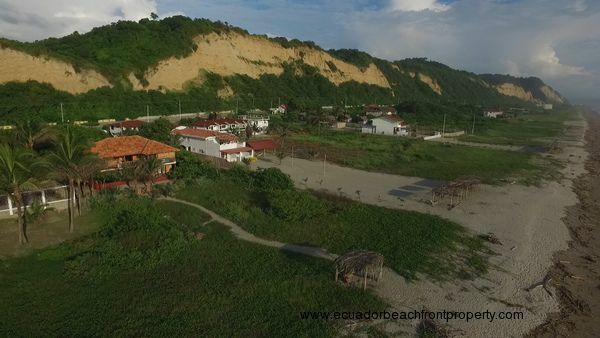 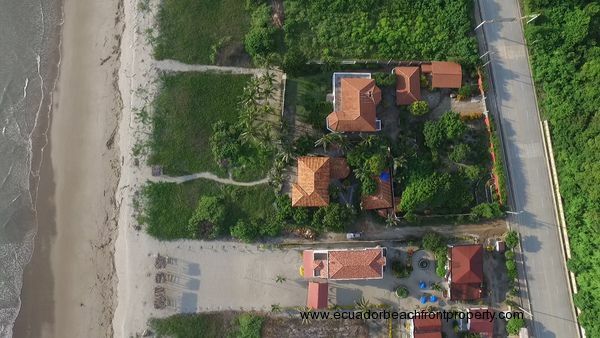 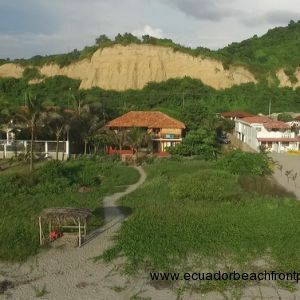 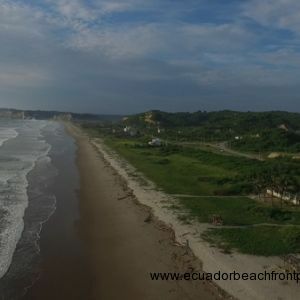 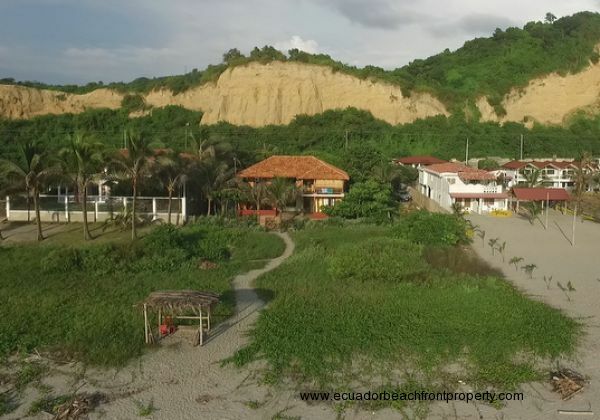 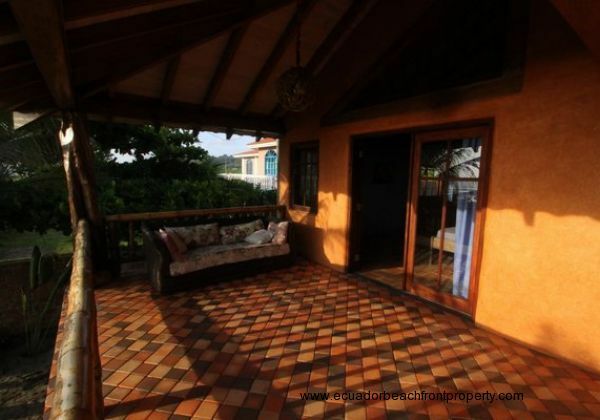 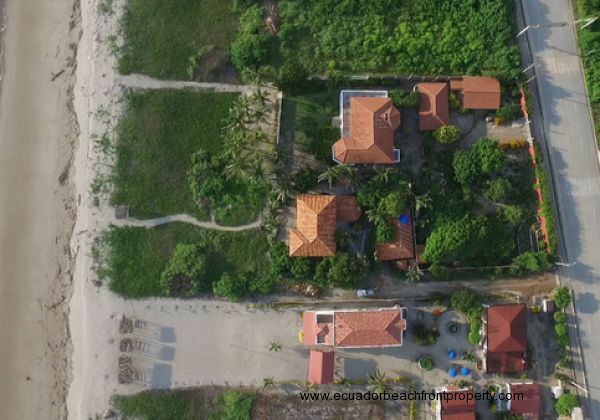 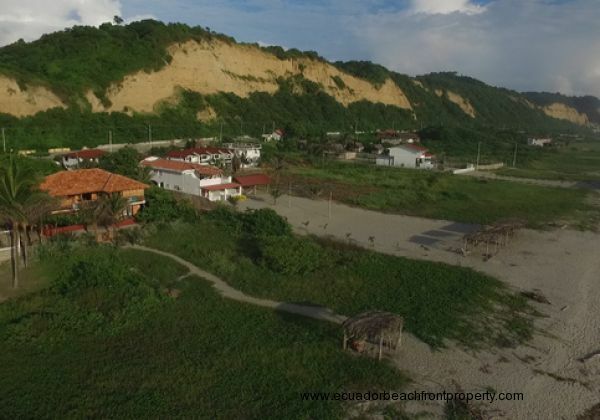 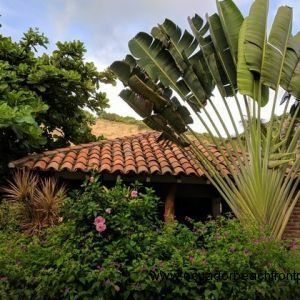 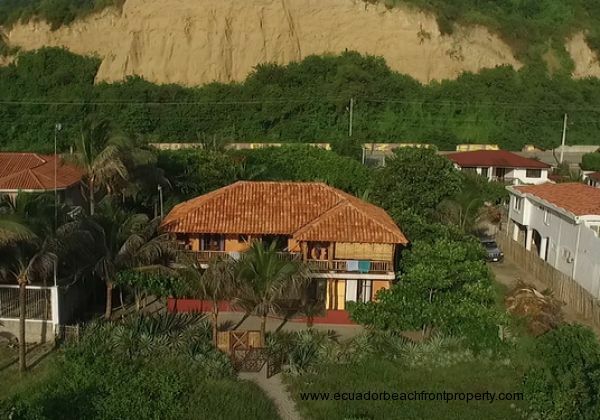 This home sits the perfect distance from the beach and a short bike ride to downtown Canoa but just far enough away to enjoy the peace and quiet of its privileged location. 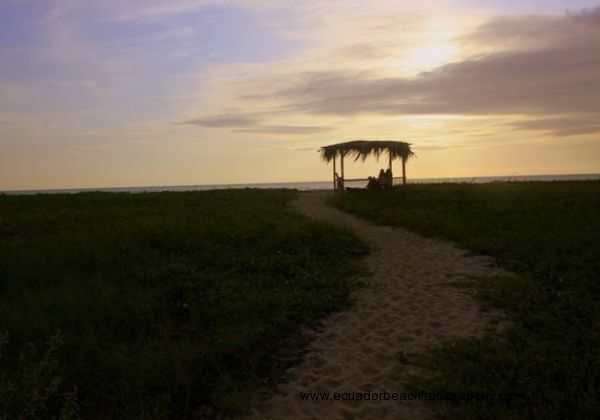 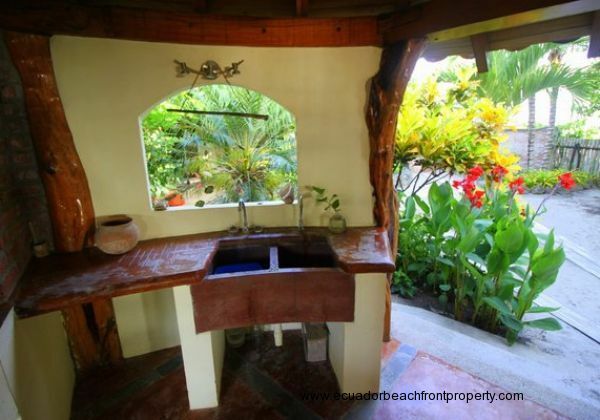 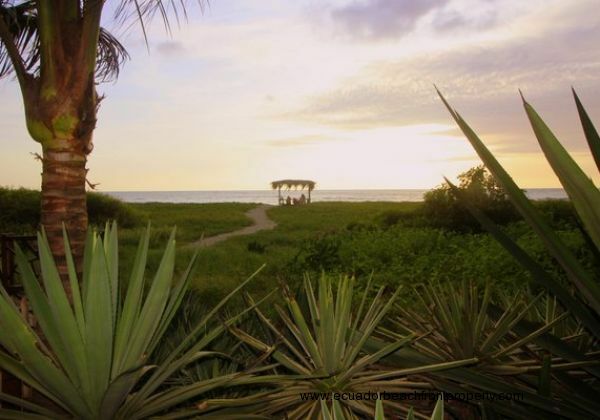 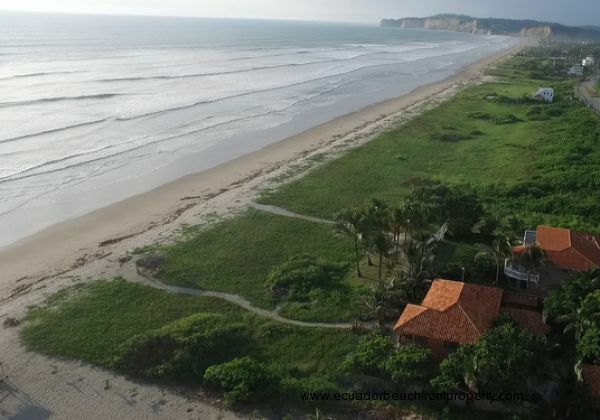 A sandy pathway wends from the home right to the beach and ends at a private palapa for relaxing with your toes in the sand while taking in the excellent surf waves and sunsets. 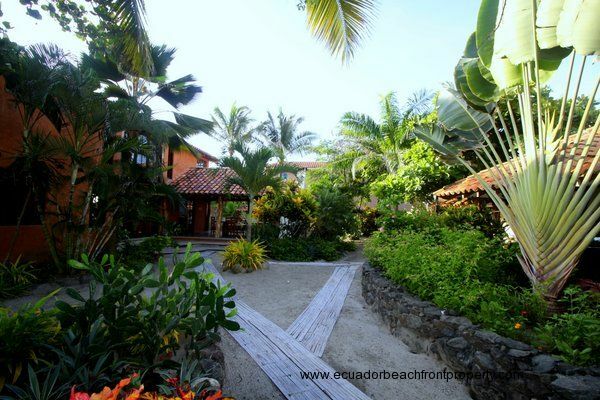 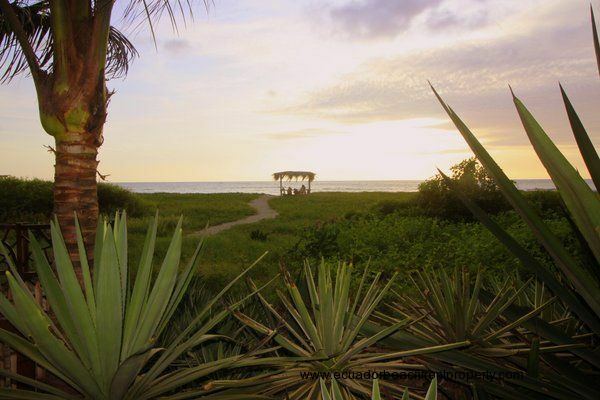 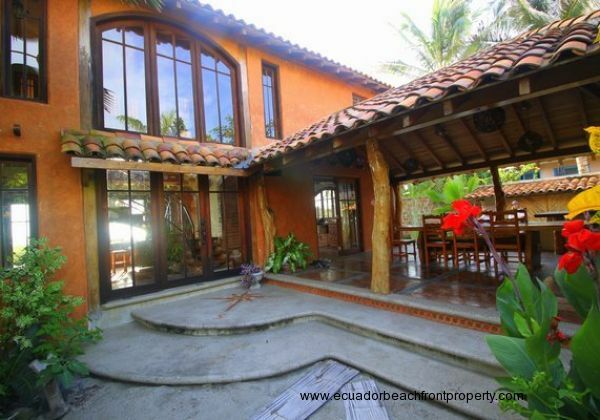 This exquisite beachfront villa sits on a 10,000 square foot lot boasting 85 feet of beach frontage. 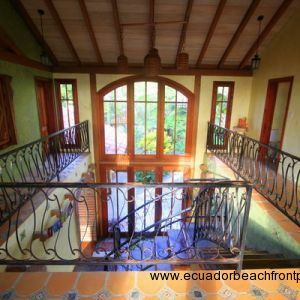 The main house has 4 bedrooms and 2 baths and provides over 3,000 sq ft of living space between the first and second levels, including the upstairs covered balcony, patio, and outdoor kitchen. 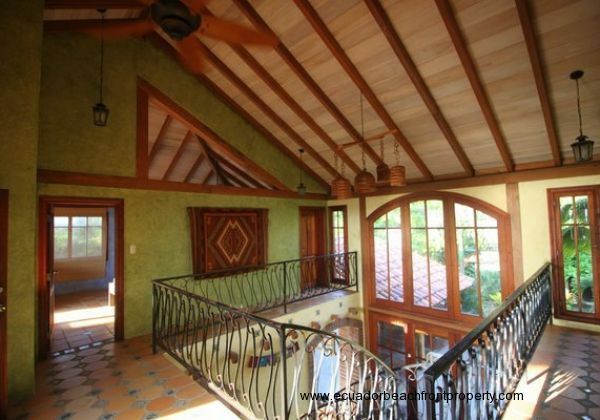 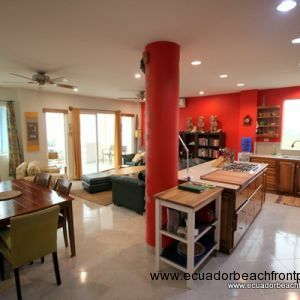 This home is built for relaxation and features multiple lounge points including hammocks, tables and couches on the second story balcony, a dining table on the downstairs beachfront balcony that feels like part of the kitchen plus a huge grill and gathering area connected to the garden side of the kitchen. 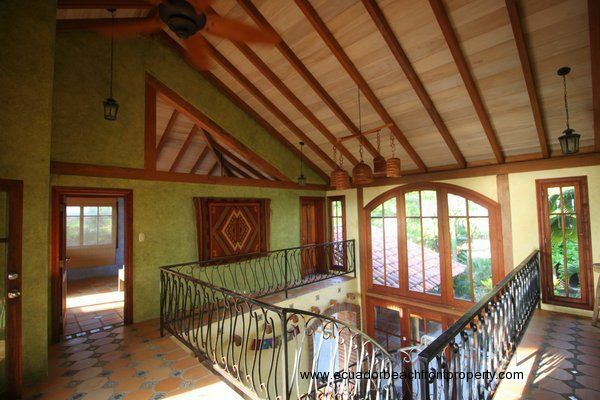 The home is open and airy with natural cooling and ventilation and excellent natural light. 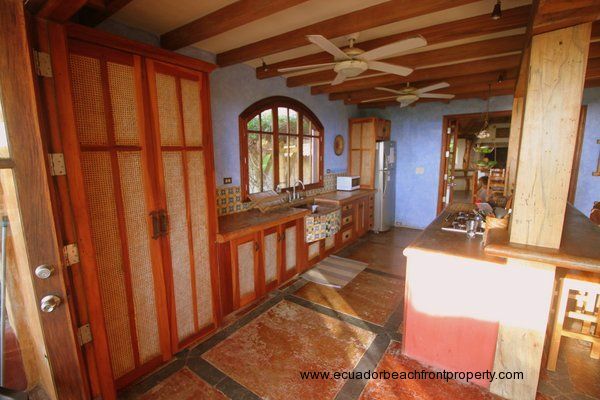 Wooden shuttered doors throughout fold all the way open to maximize incoming light and air. 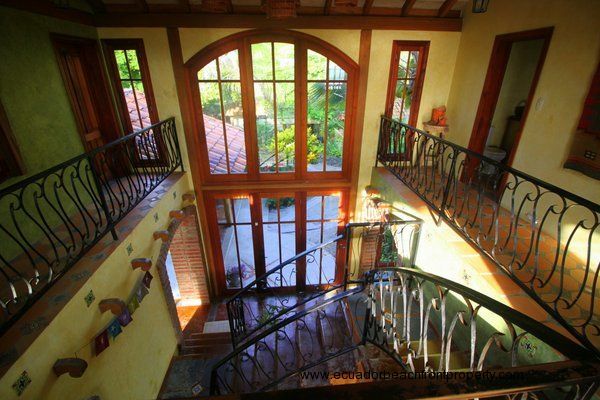 A floor to ceiling arched window provides a striking focal point while framing the garden view side of the property. 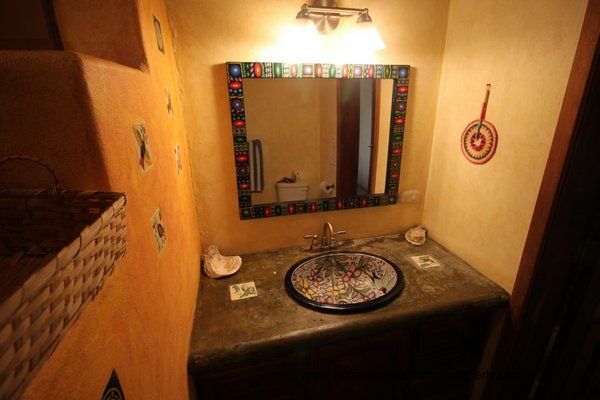 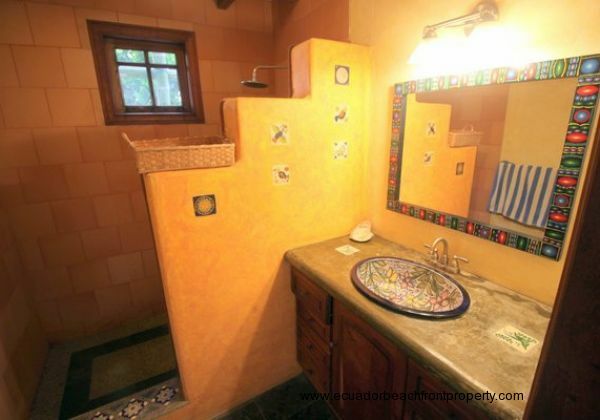 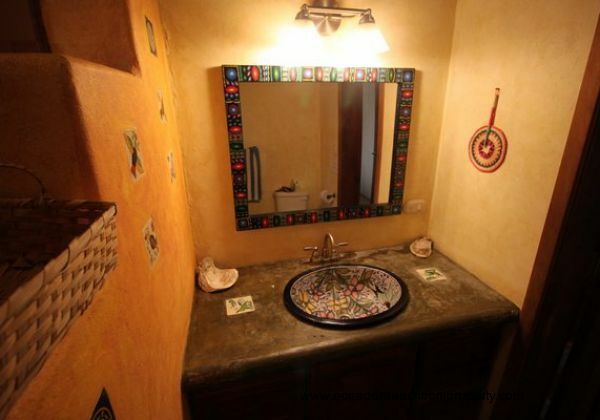 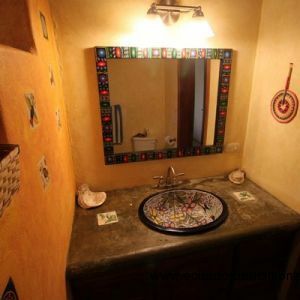 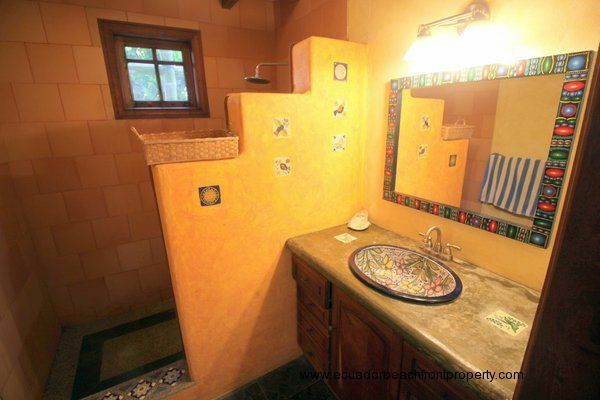 This home is filled with warm details including imported Mexican pottery sinks, inlaid tiles and multiple ceramic mosaics. 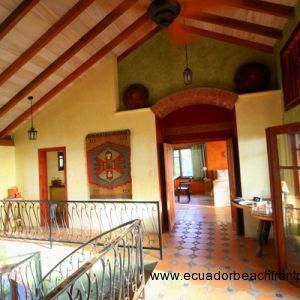 Please take a look at the 80+ photos in the slideshow at the top of the page to gain a real appreciation for this very special property and its myriad detail. 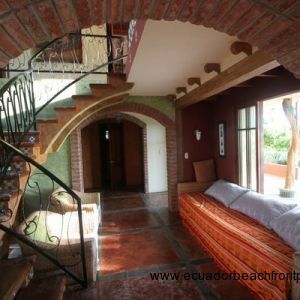 All bedrooms, including the master are generous spaces and lend a feeling of openness throughout the interior of the home. 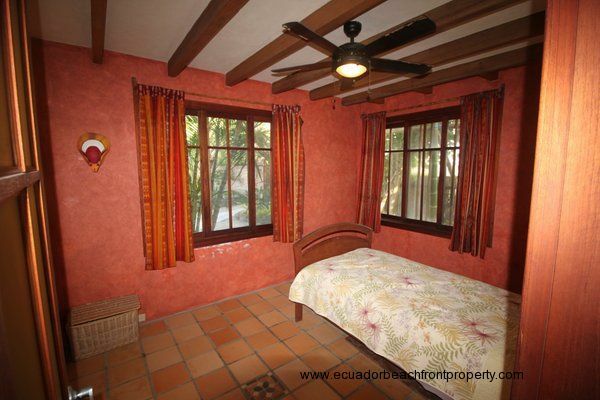 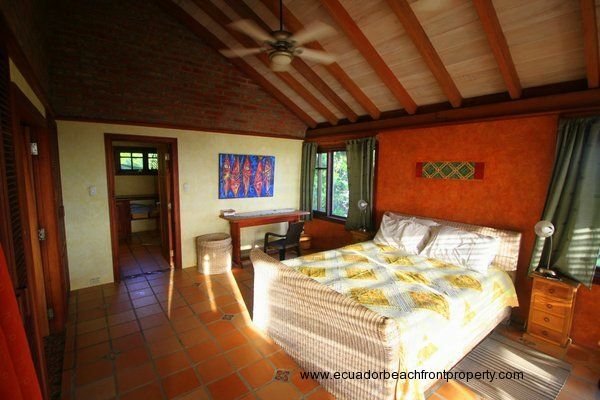 This spacious property also includes a complete guesthouse with bedroom, kitchen, living room, and storage areas. An outbuilding provides racks for your surfboards and a space for storage and laundry. 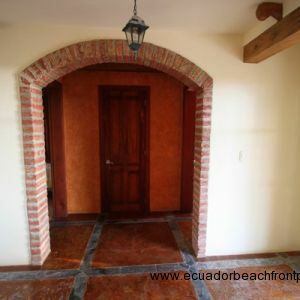 Covered parking is available for one vehicle and there is plenty of room to increase the gated parking area if desired. 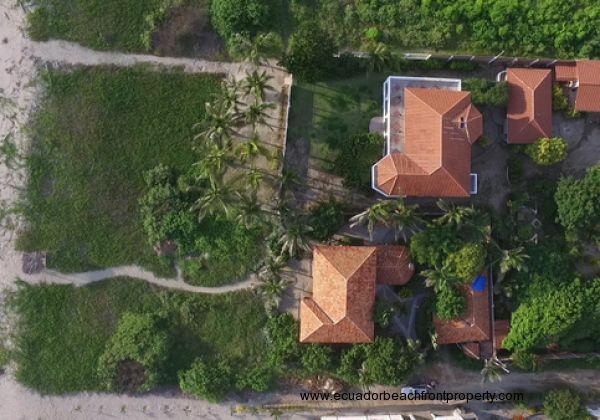 Mature vegetation and tropical landscaping fill the yard and gives this home a luxurious garden and provides the ideal complement to the sand dunes and ocean waves in the front. 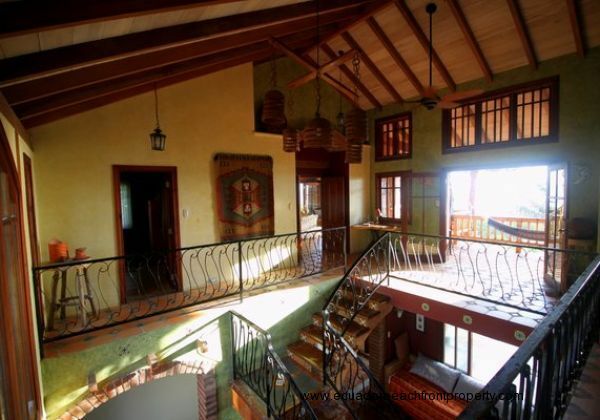 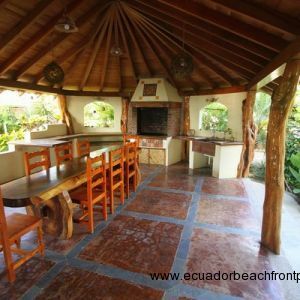 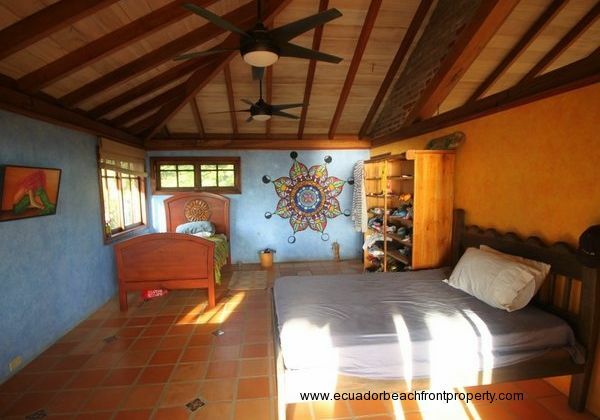 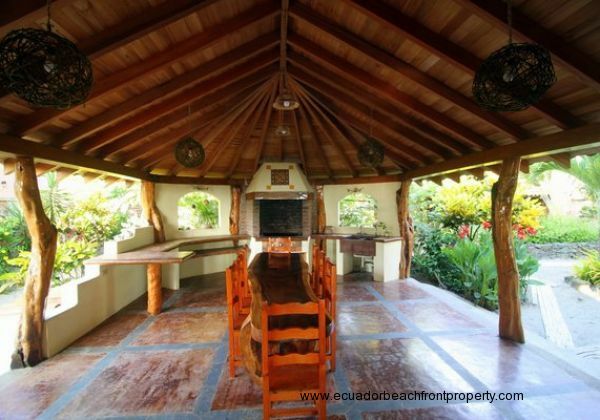 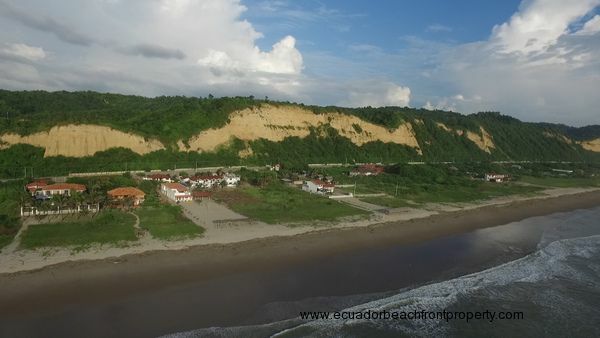 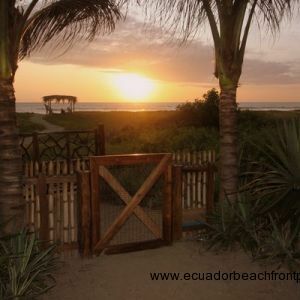 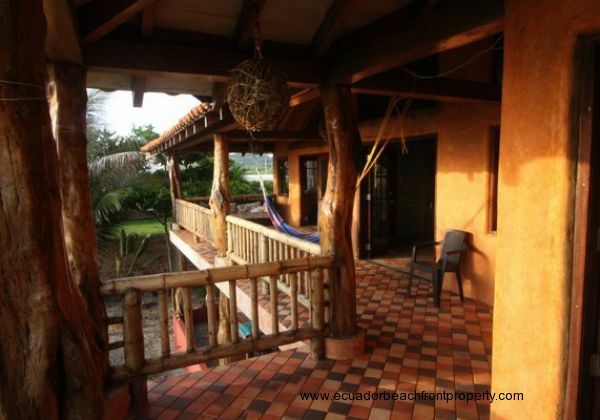 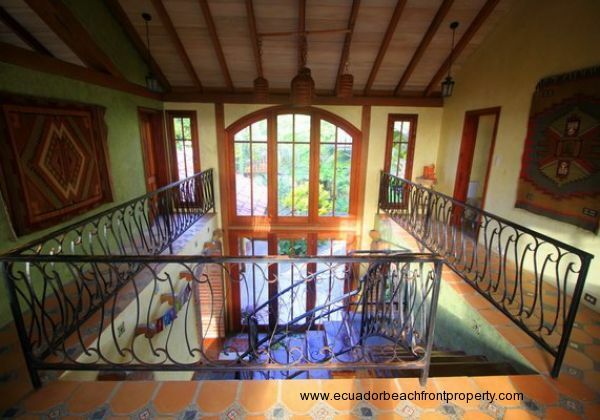 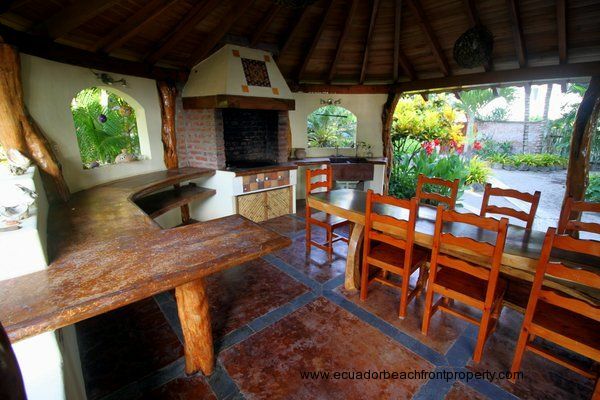 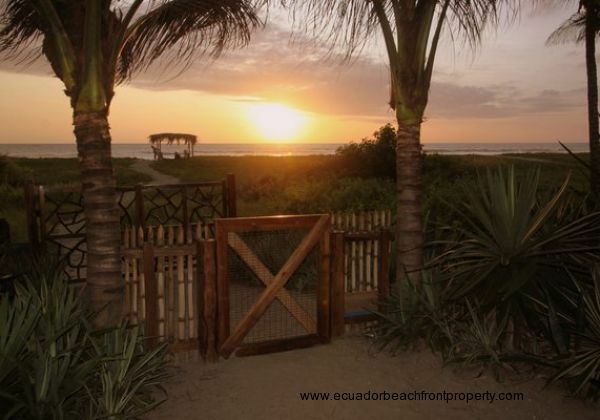 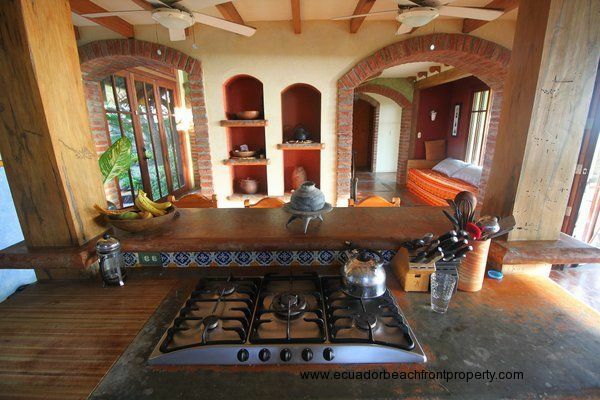 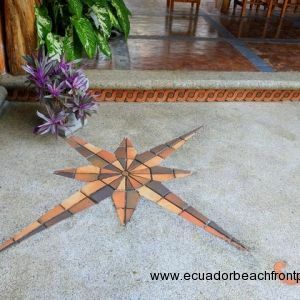 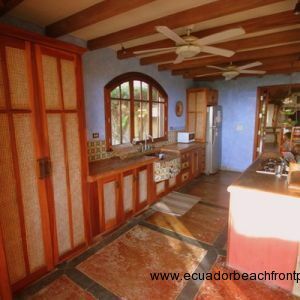 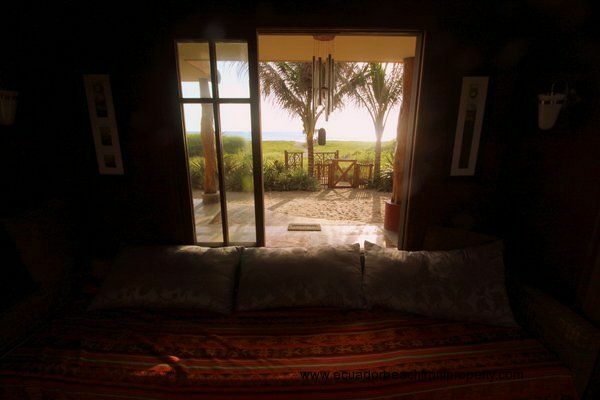 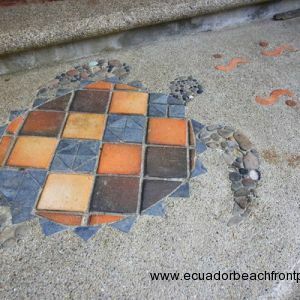 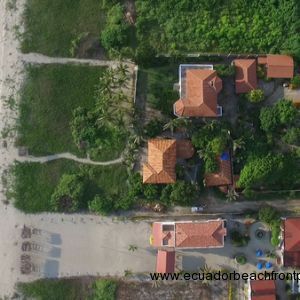 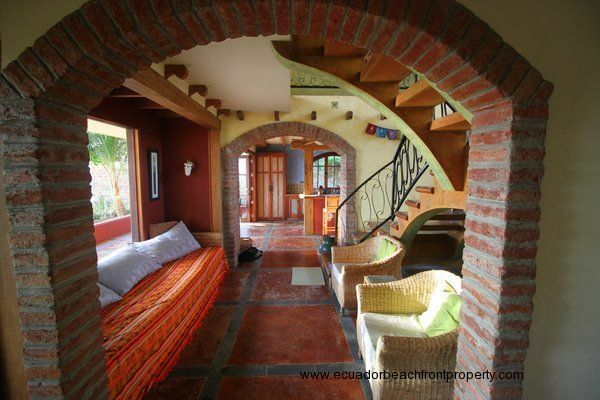 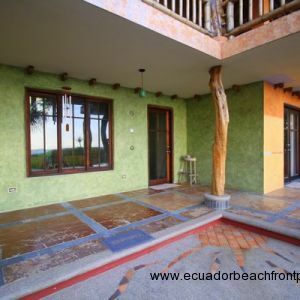 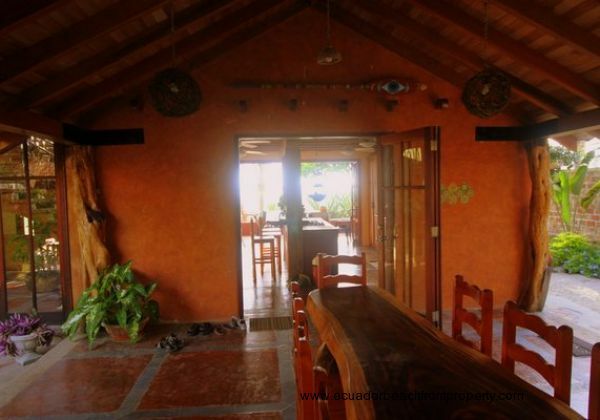 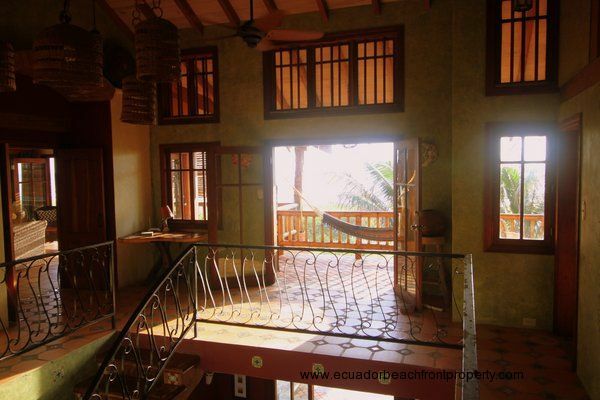 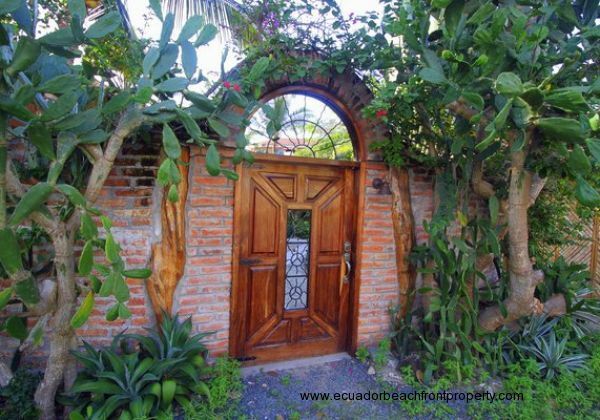 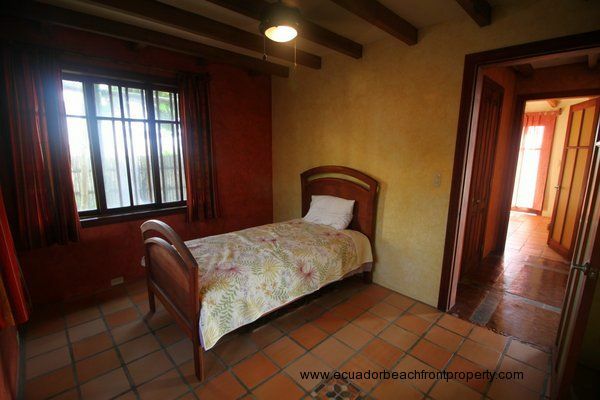 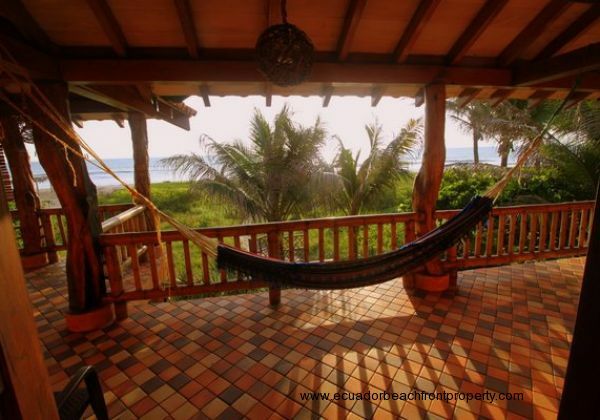 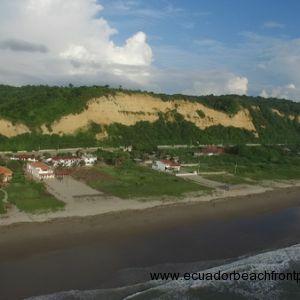 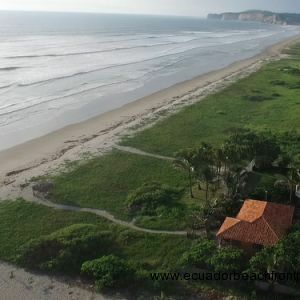 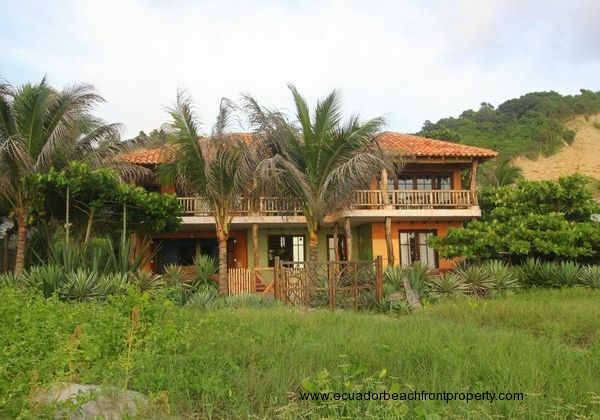 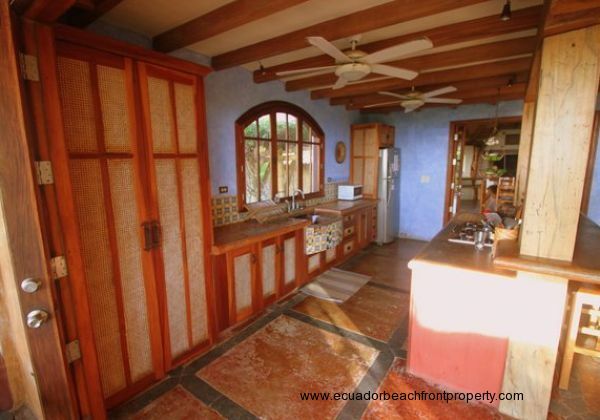 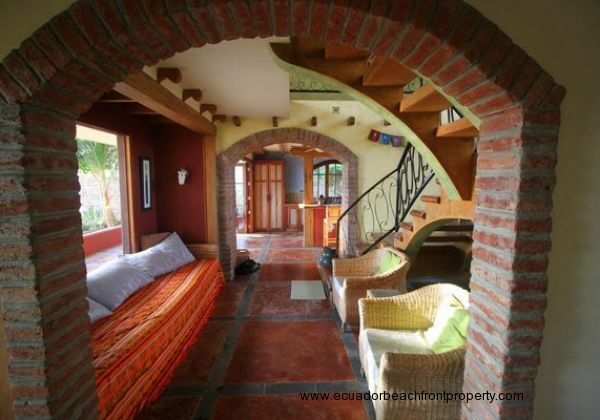 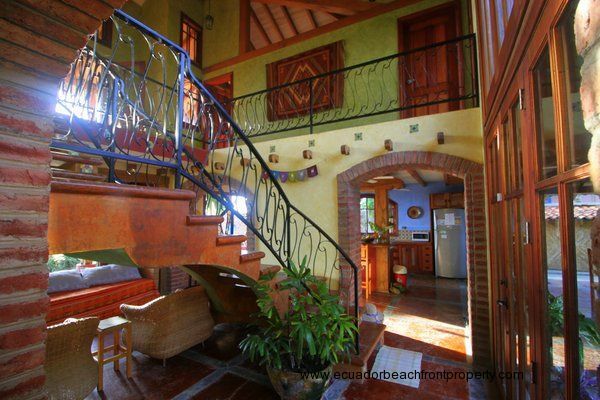 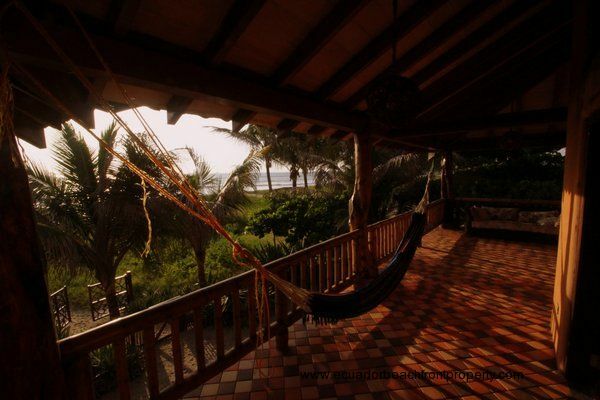 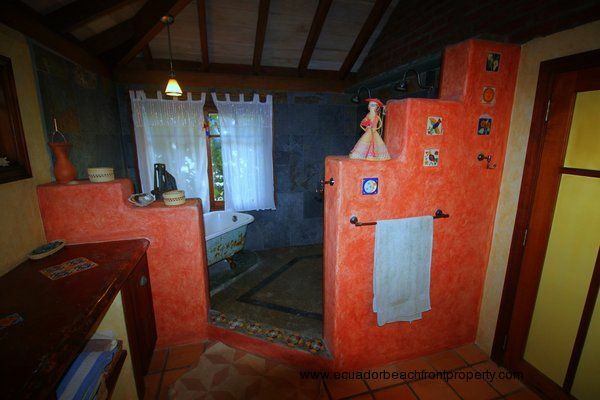 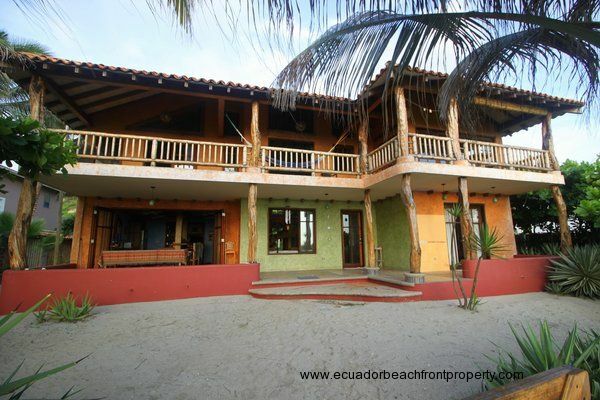 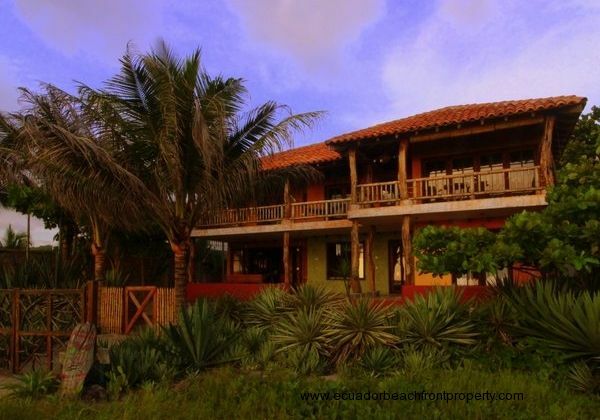 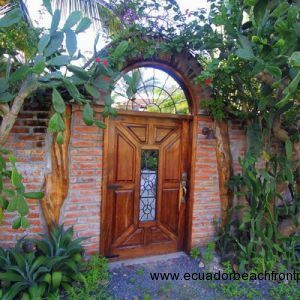 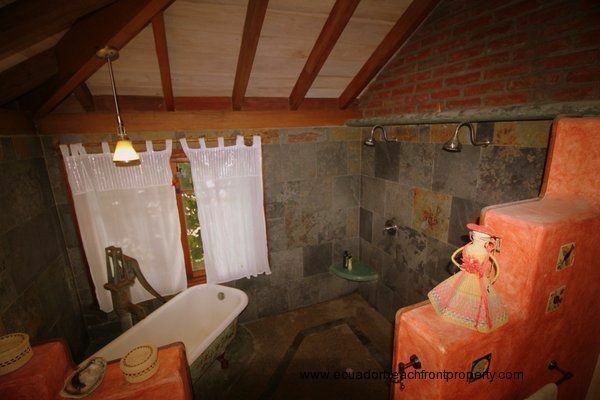 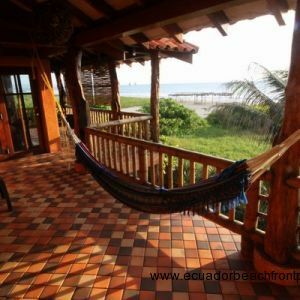 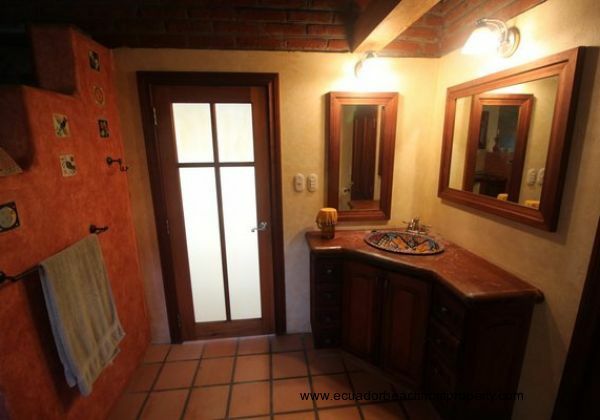 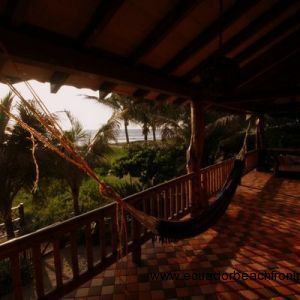 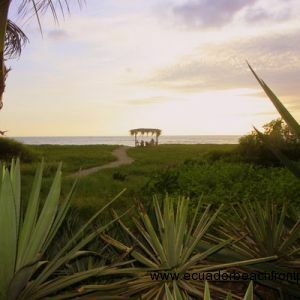 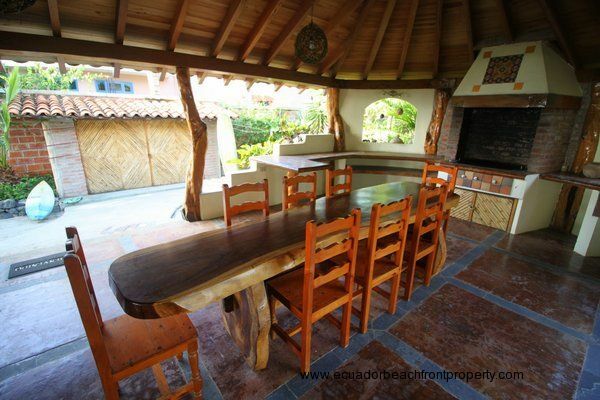 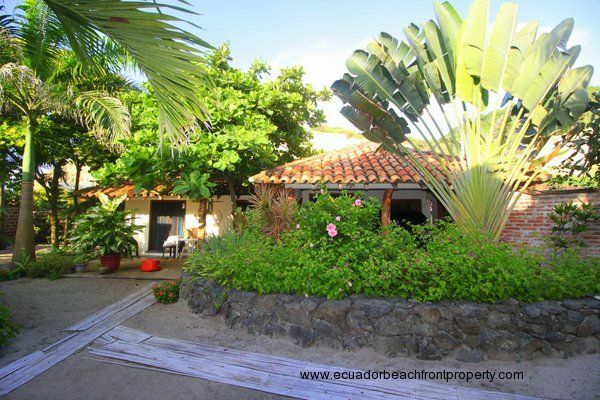 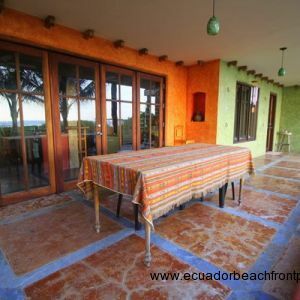 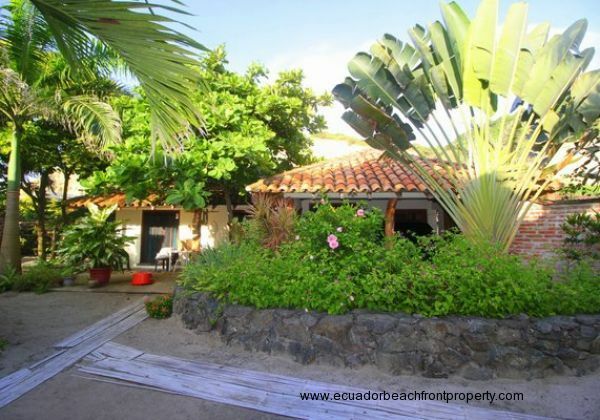 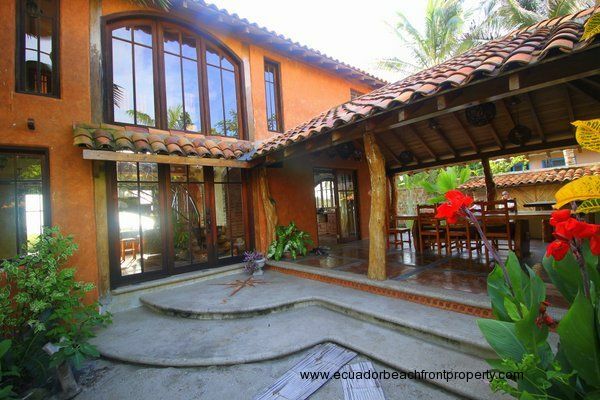 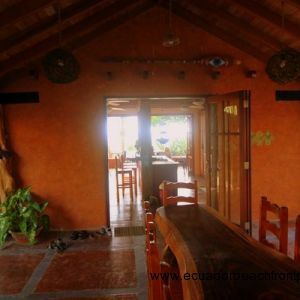 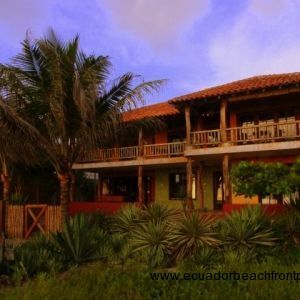 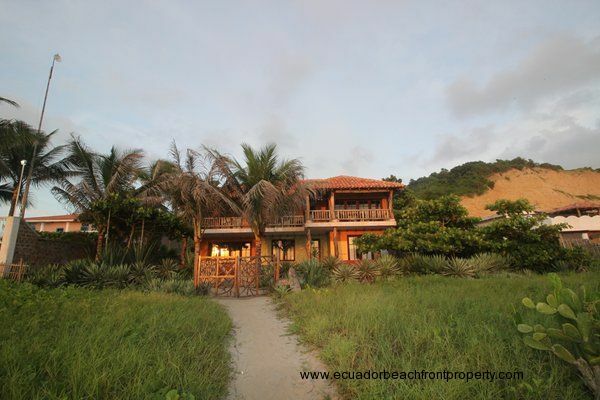 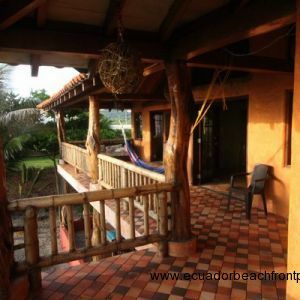 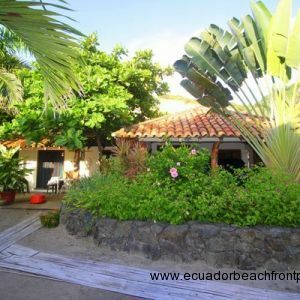 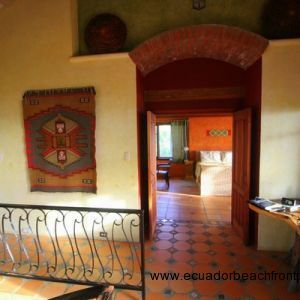 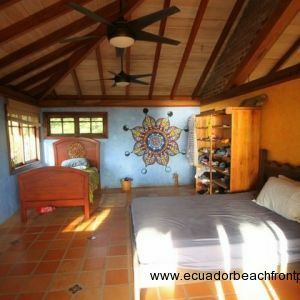 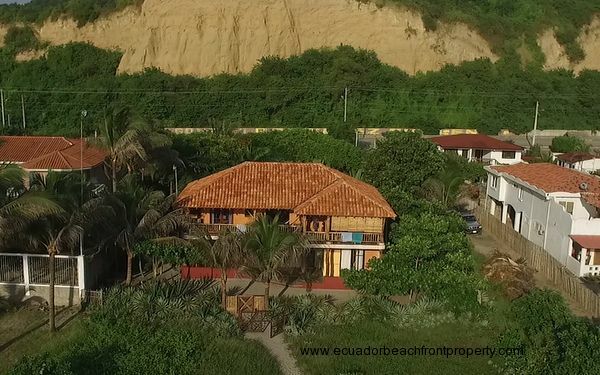 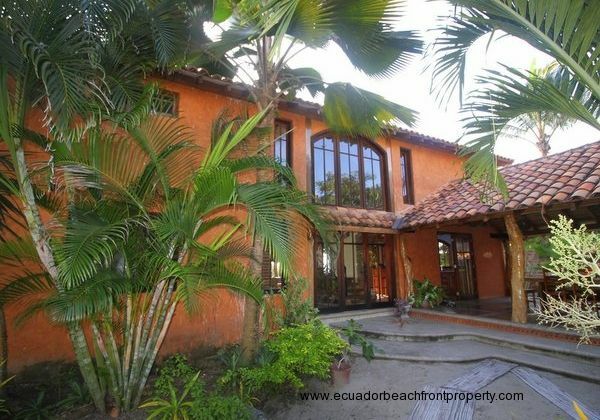 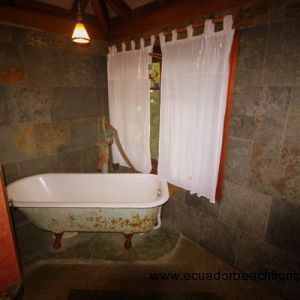 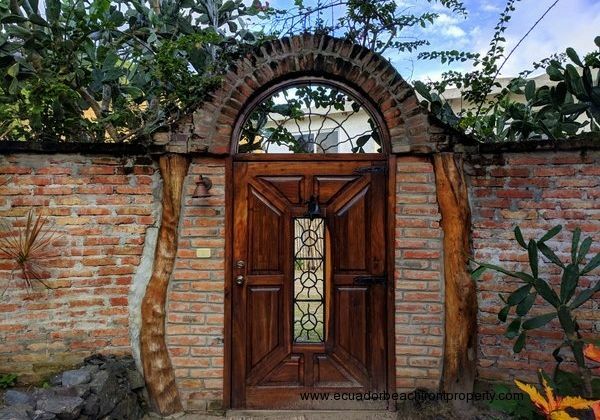 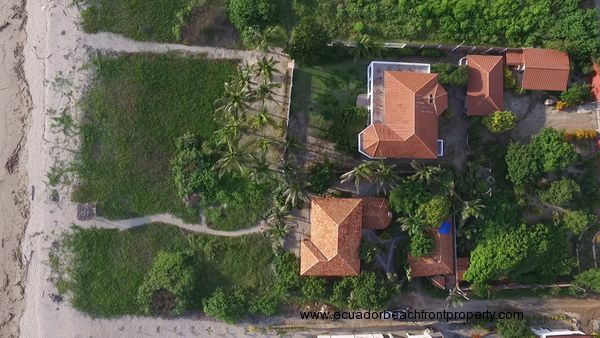 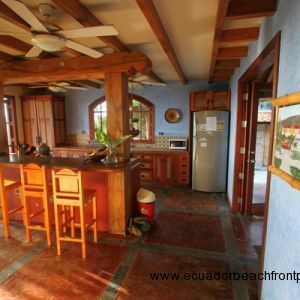 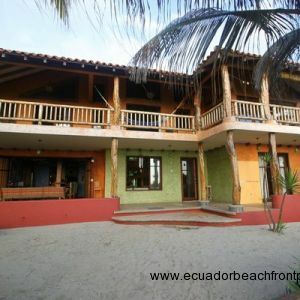 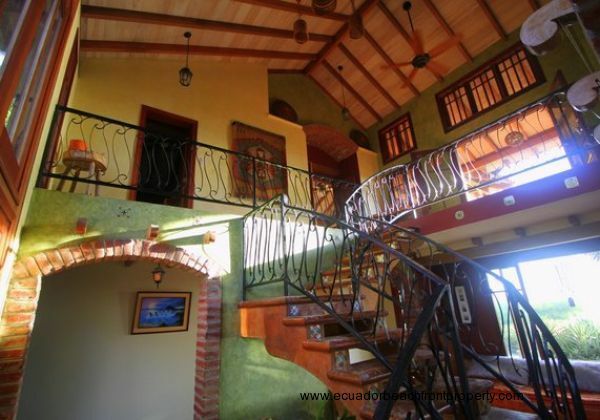 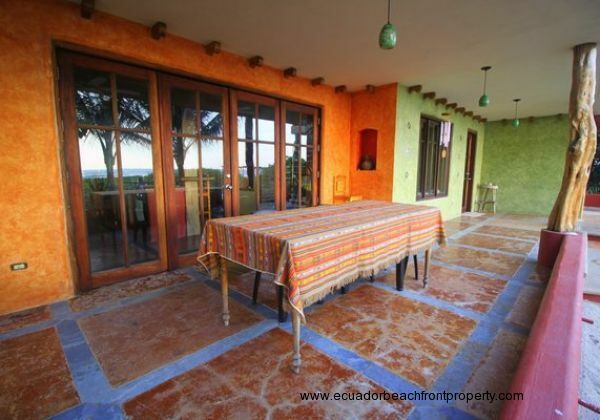 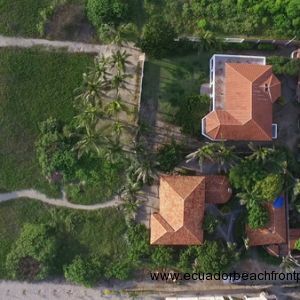 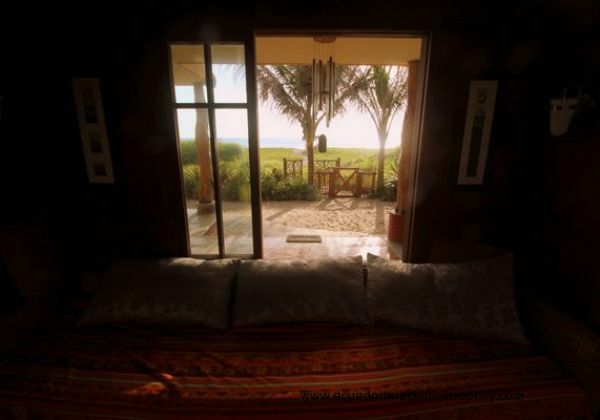 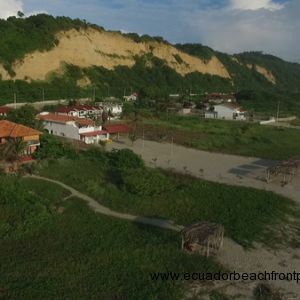 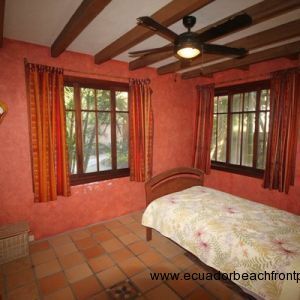 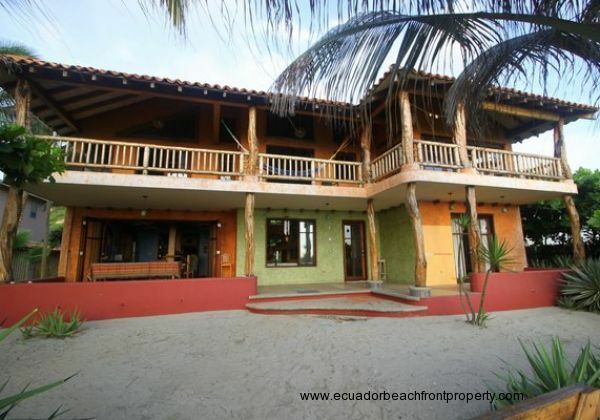 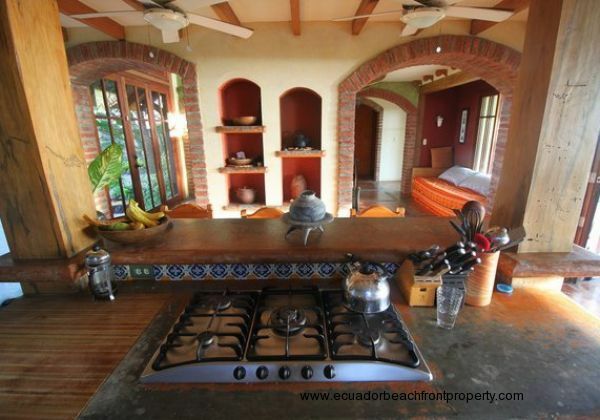 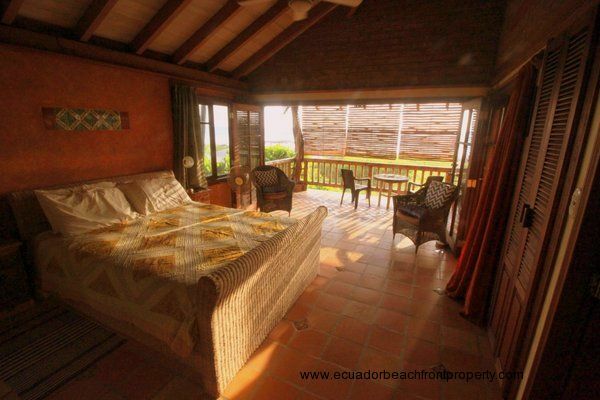 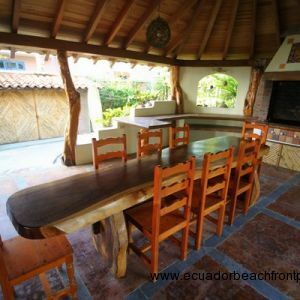 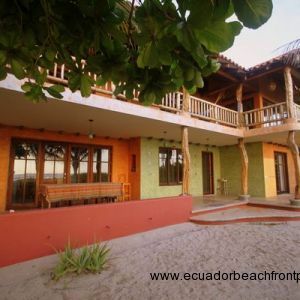 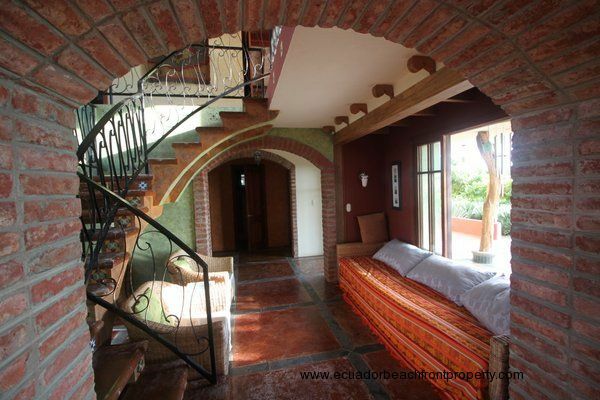 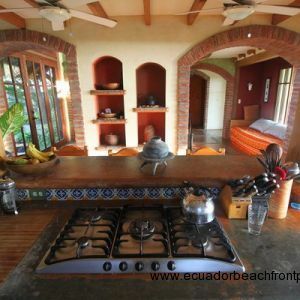 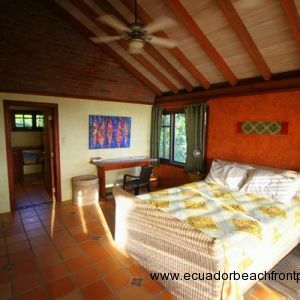 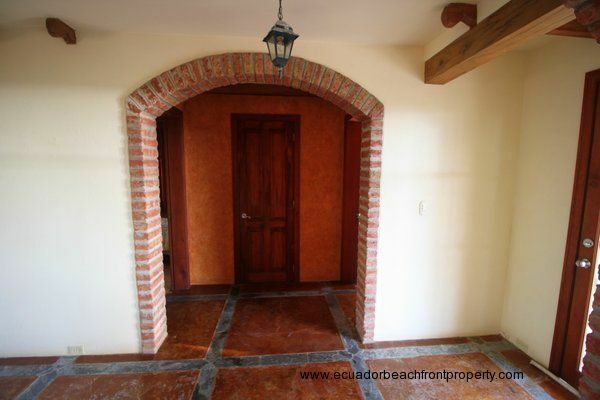 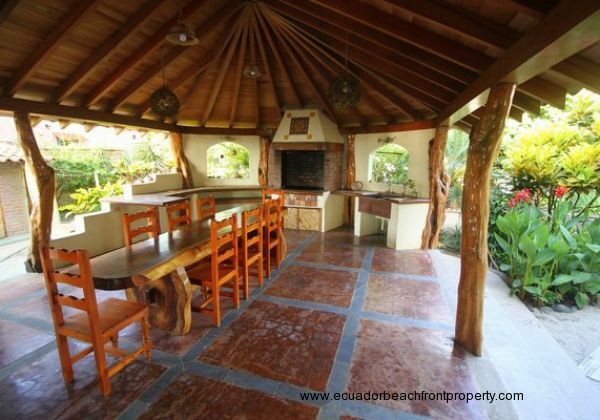 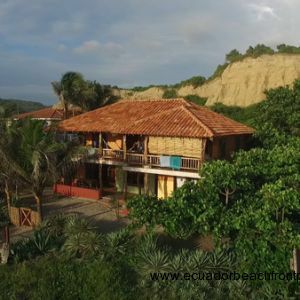 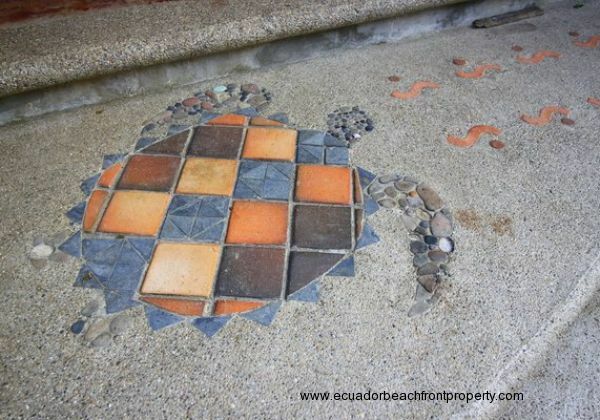 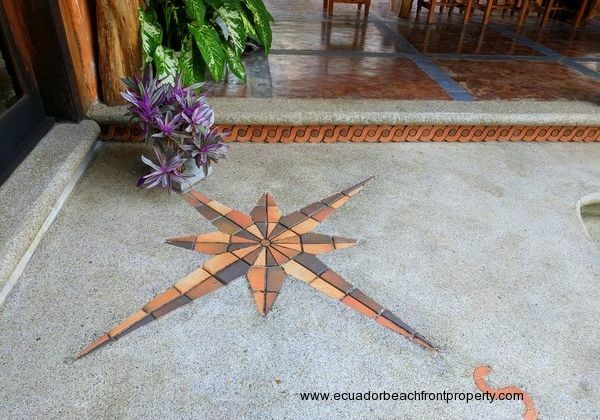 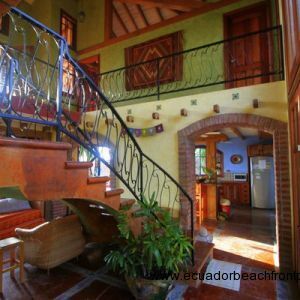 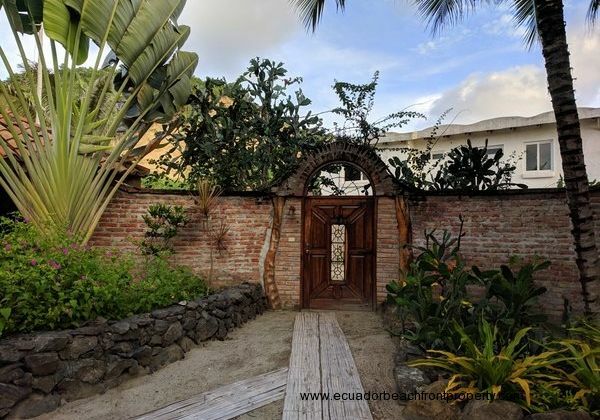 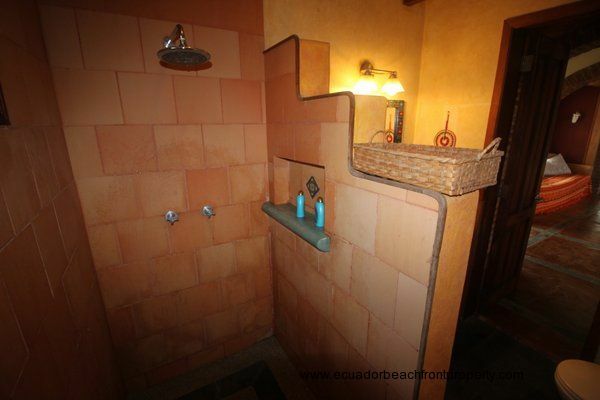 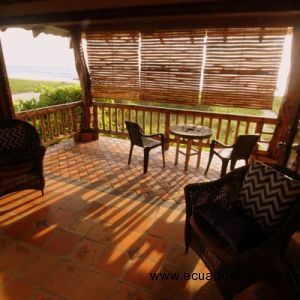 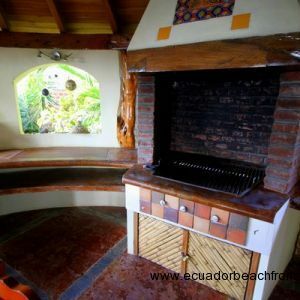 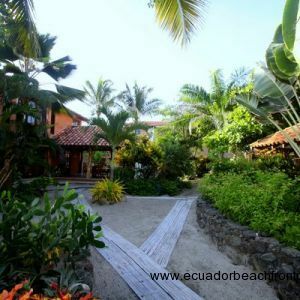 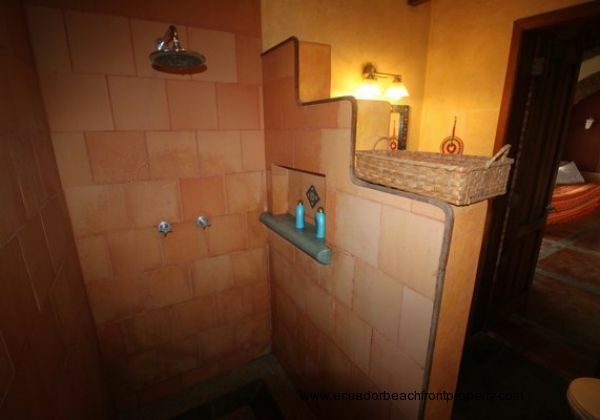 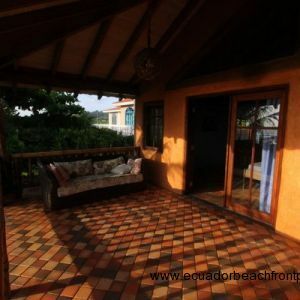 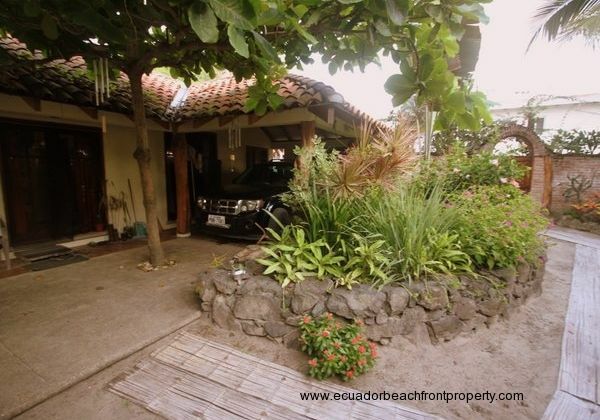 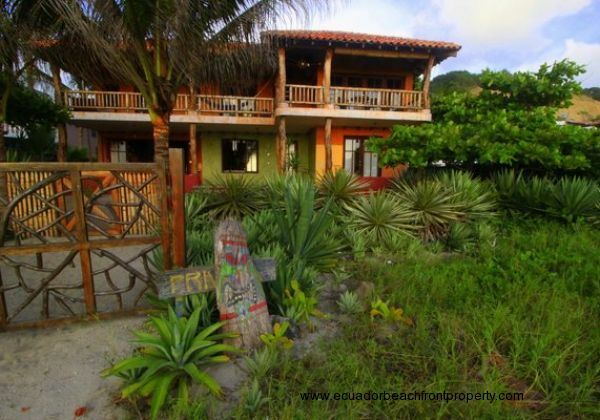 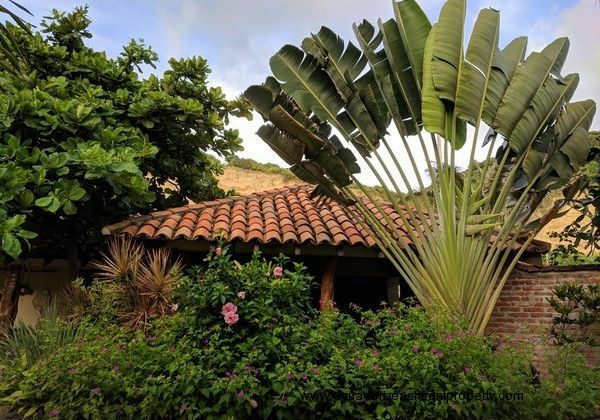 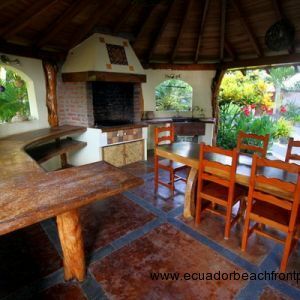 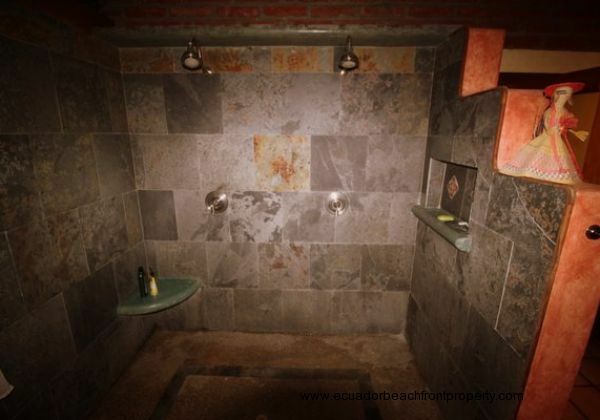 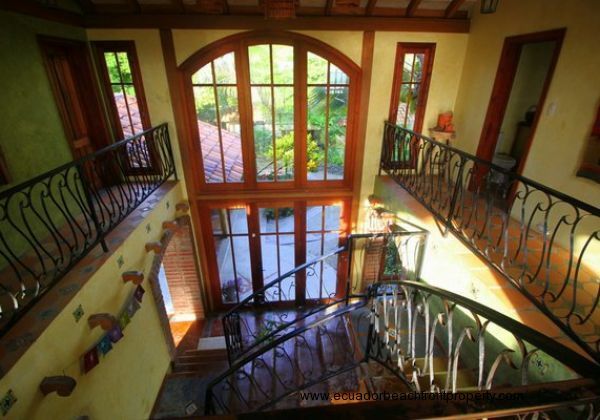 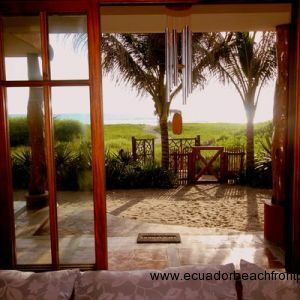 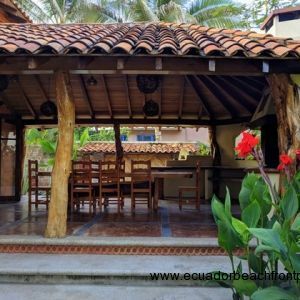 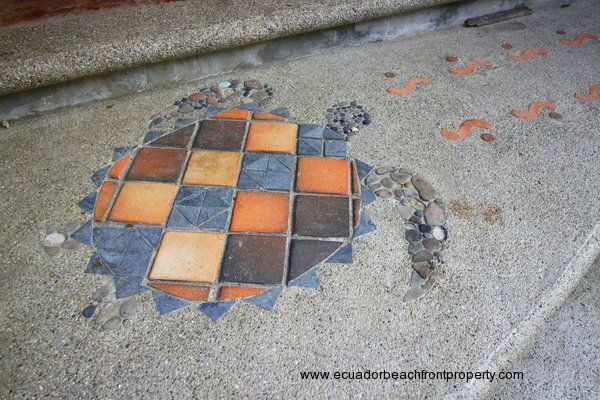 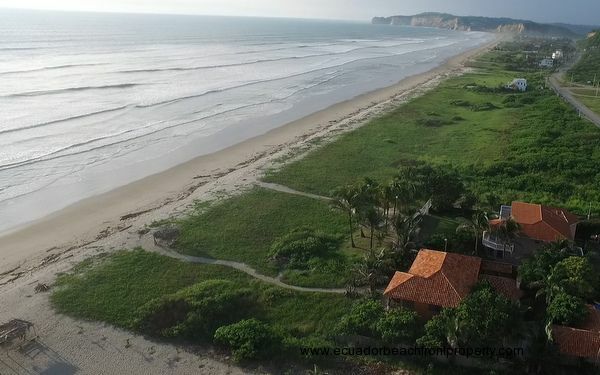 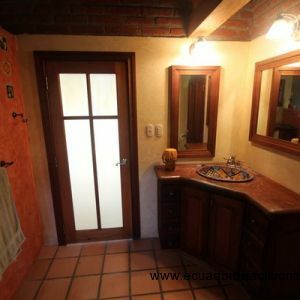 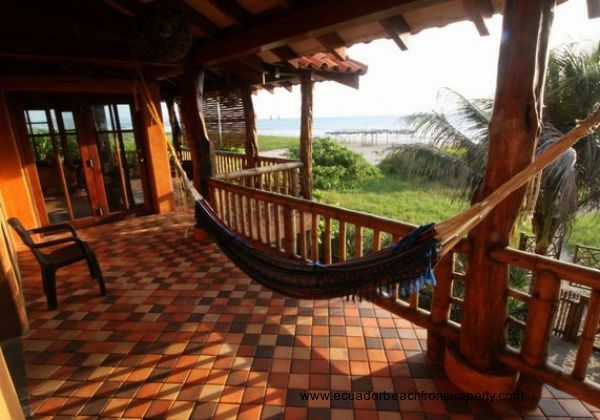 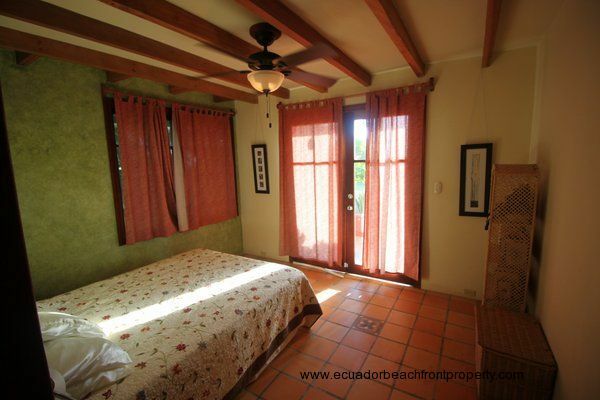 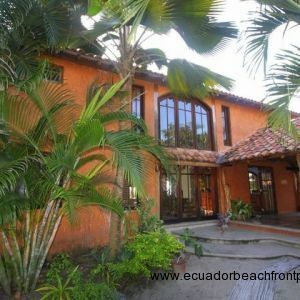 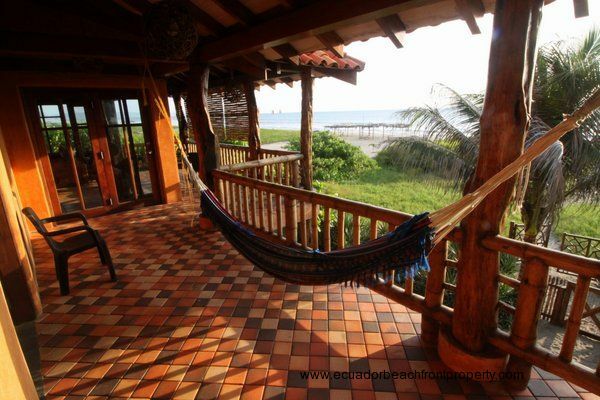 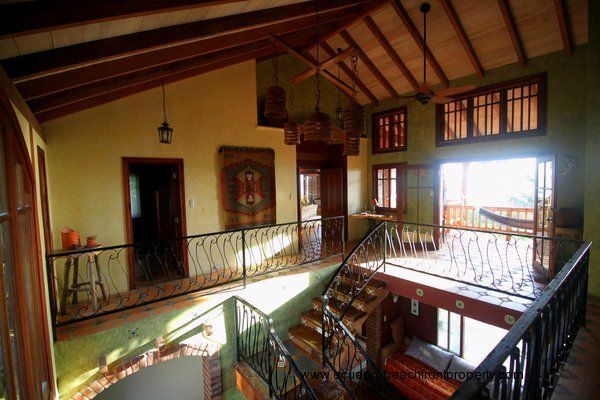 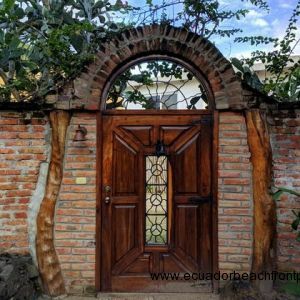 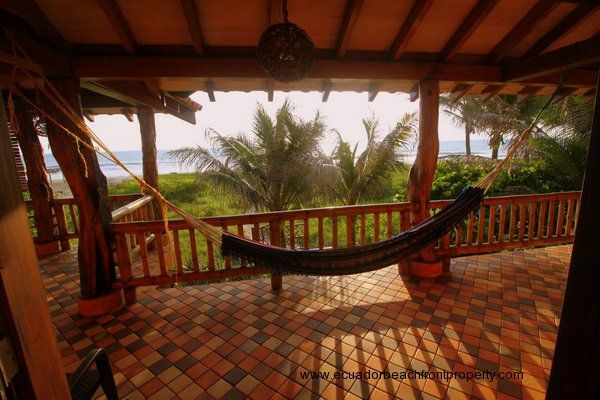 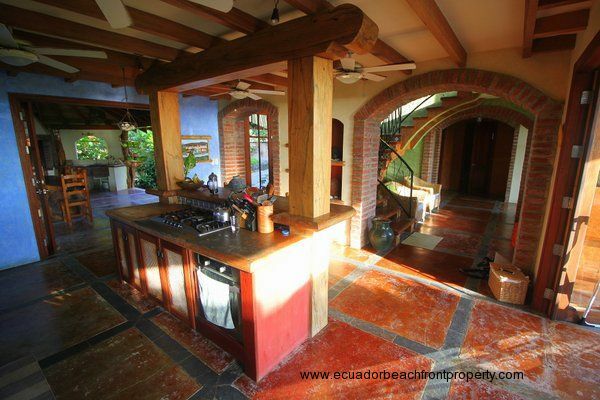 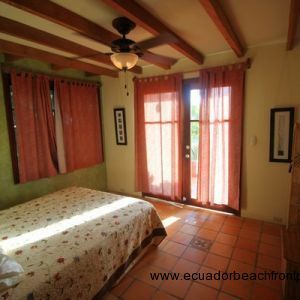 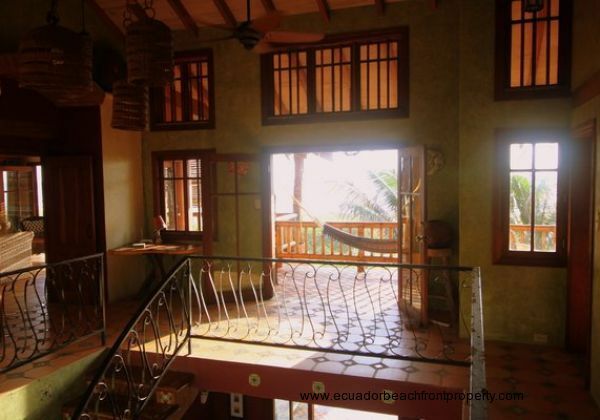 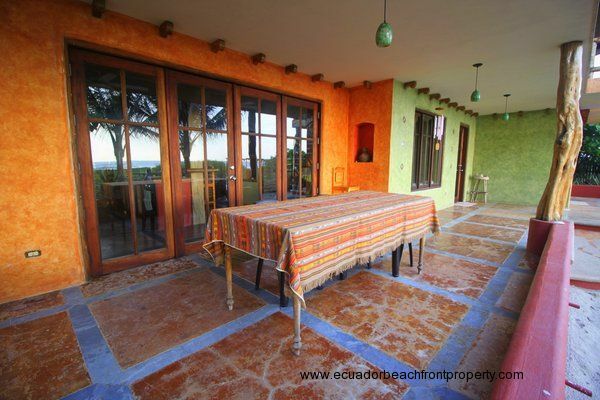 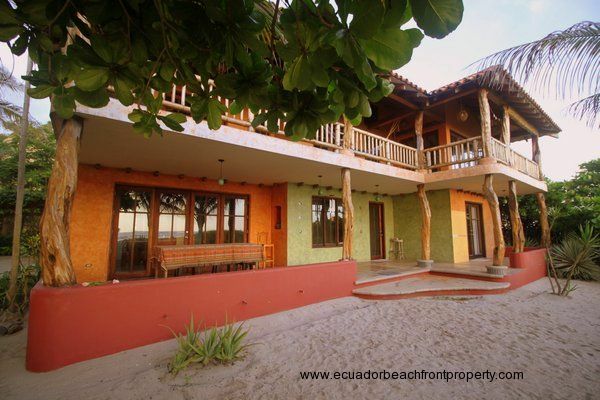 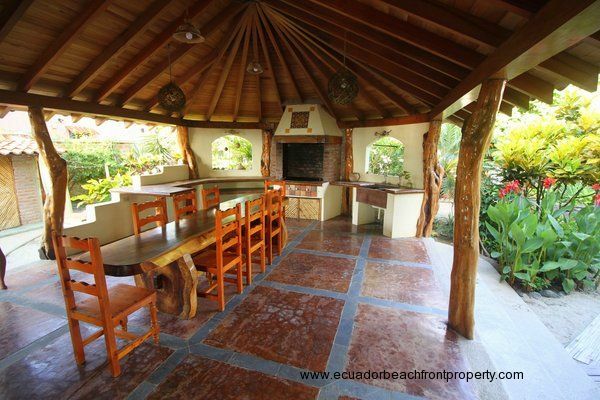 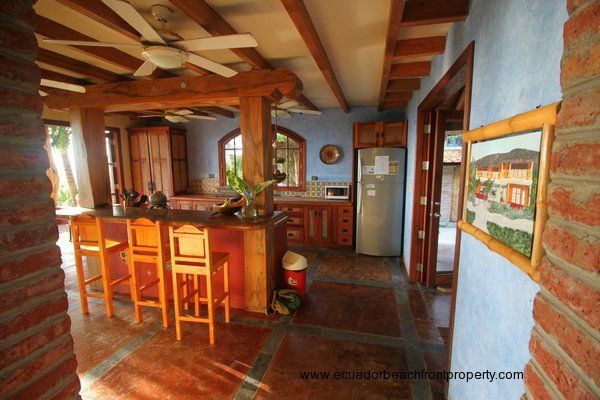 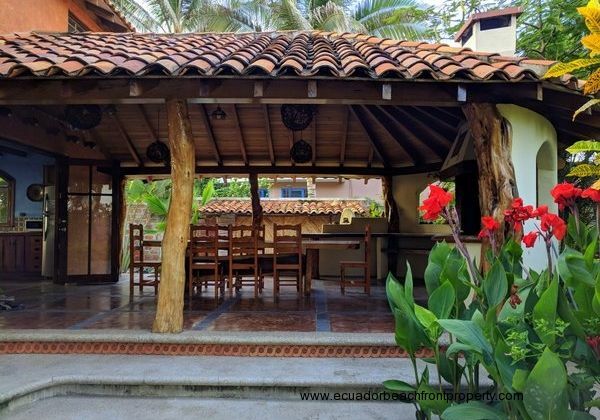 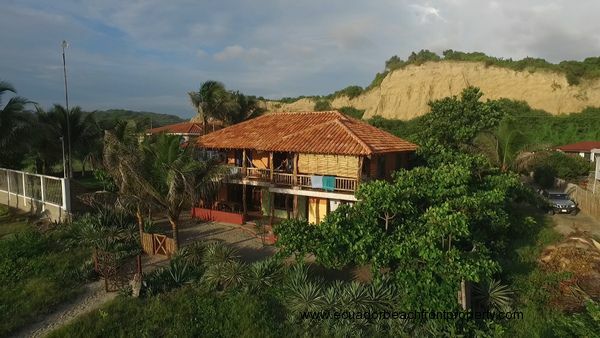 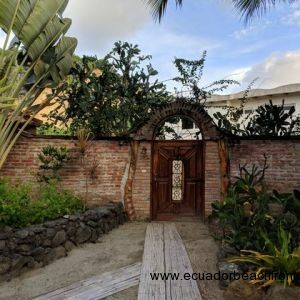 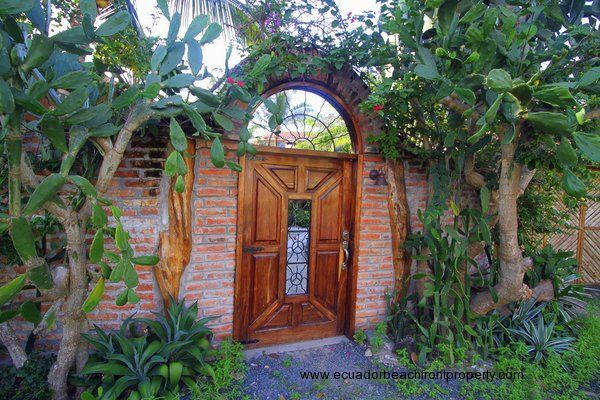 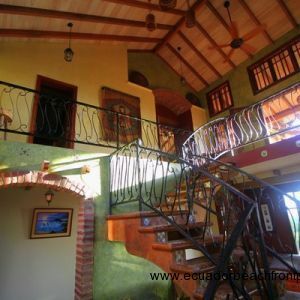 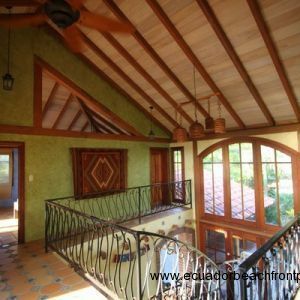 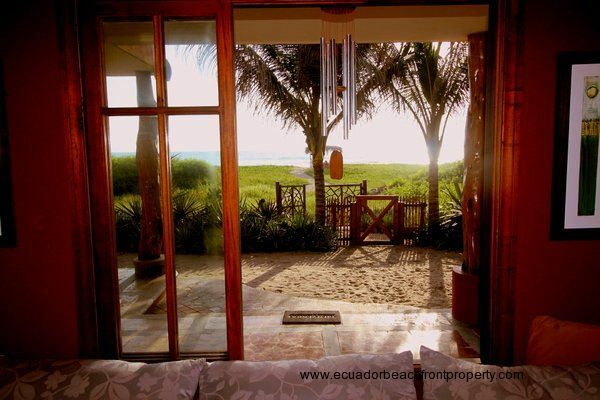 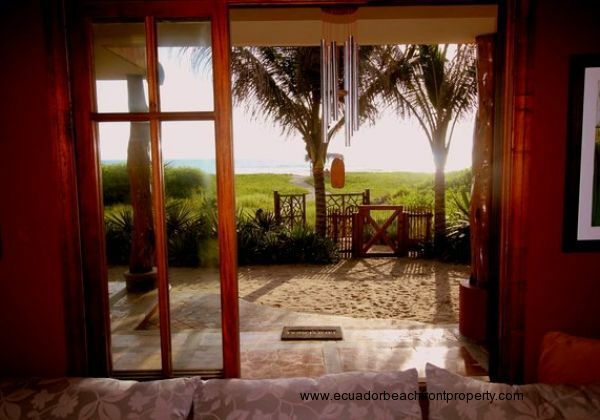 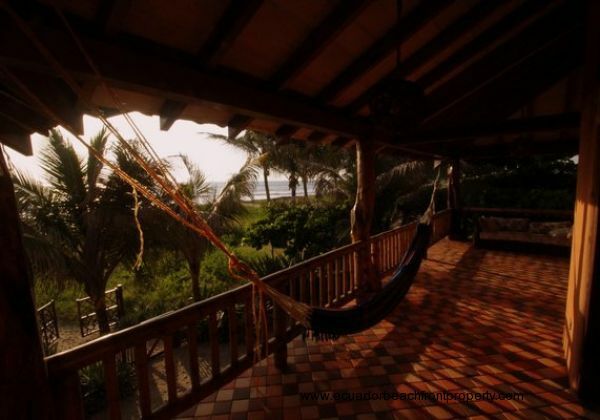 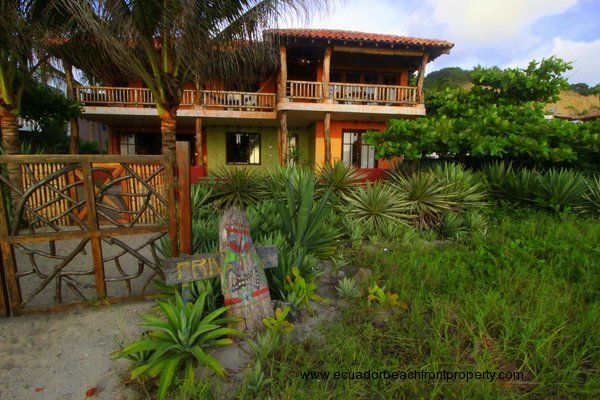 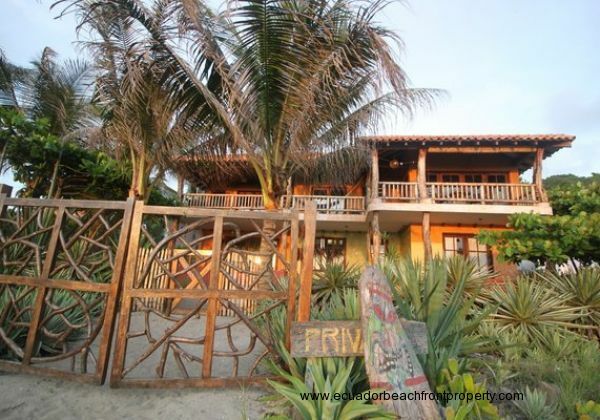 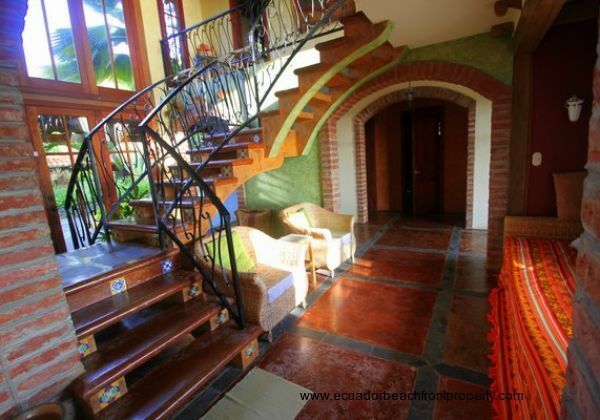 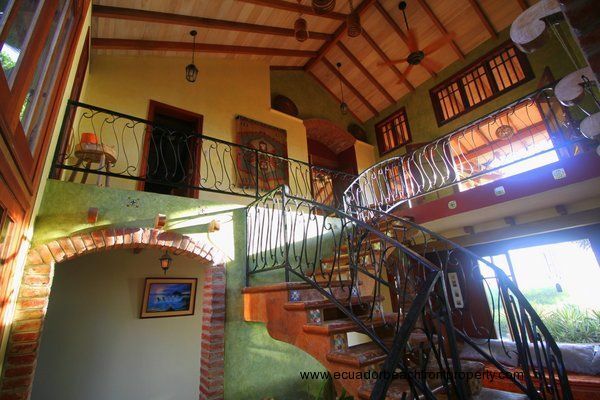 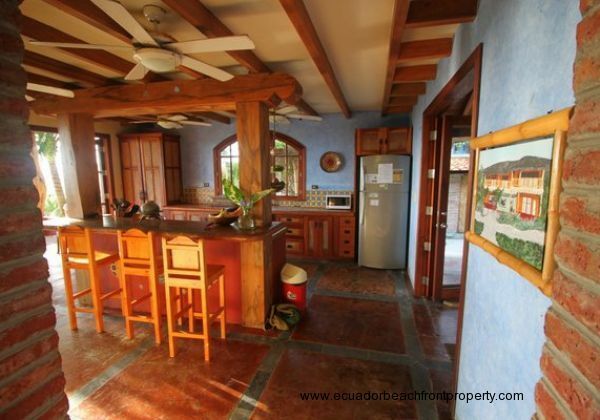 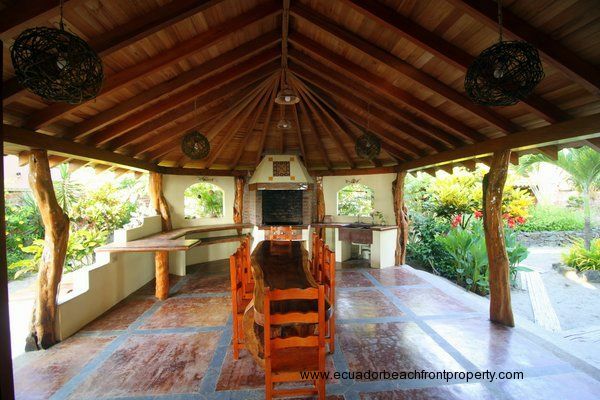 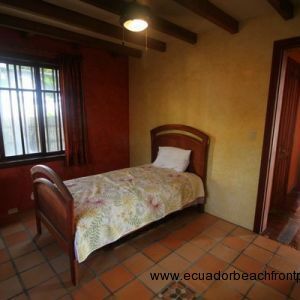 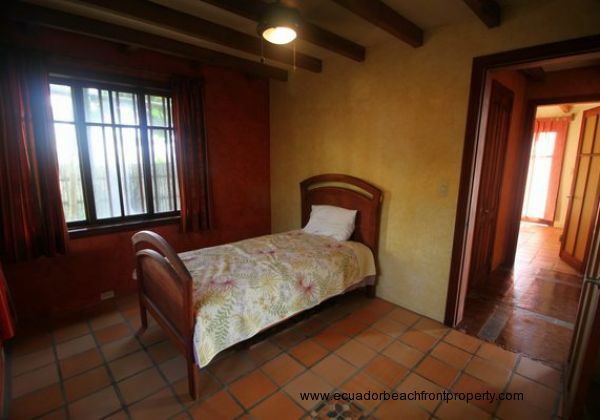 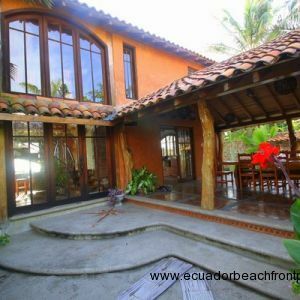 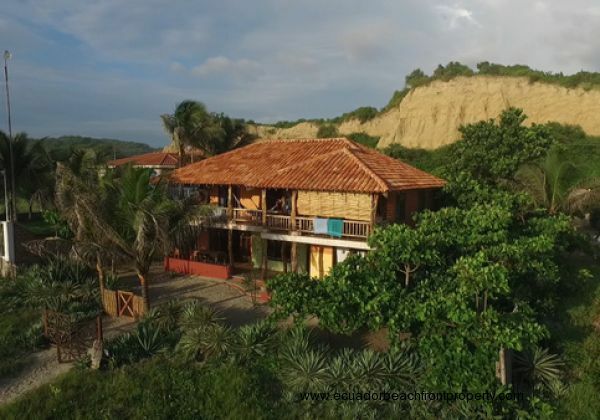 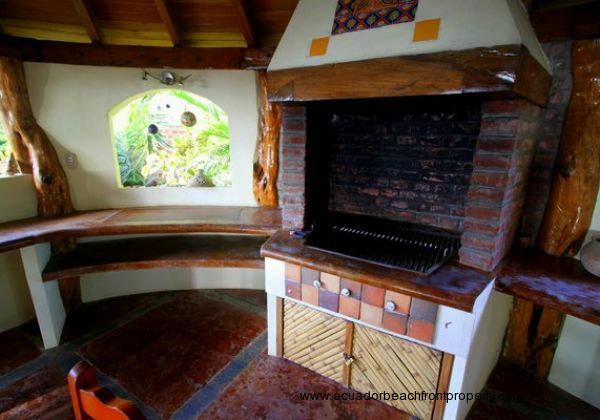 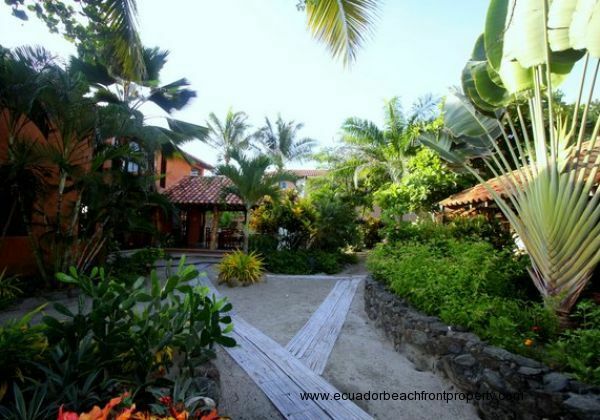 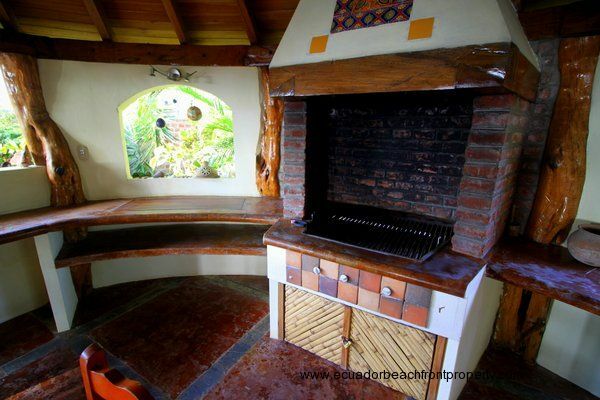 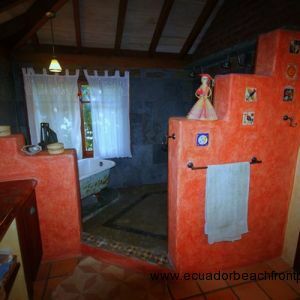 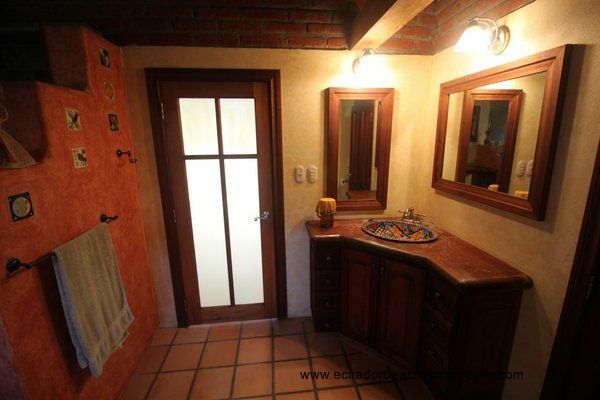 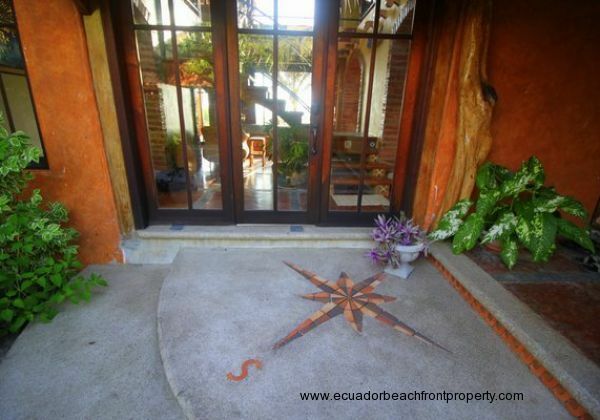 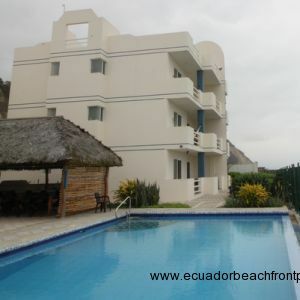 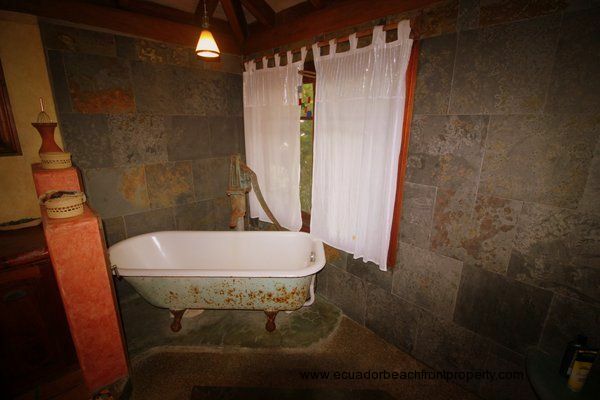 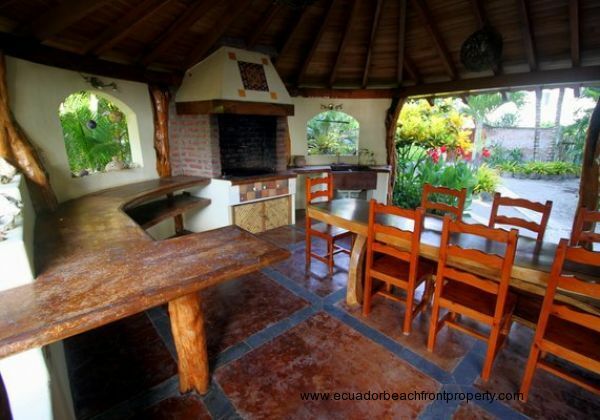 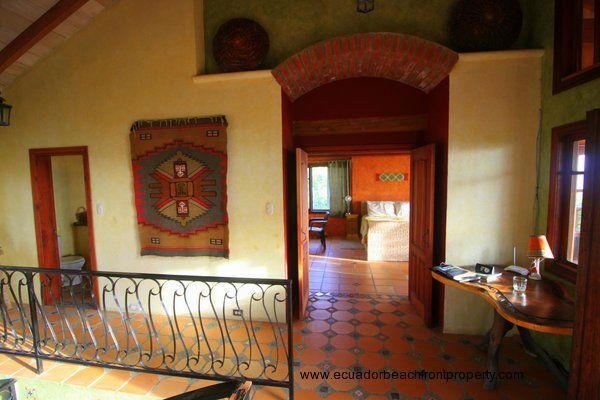 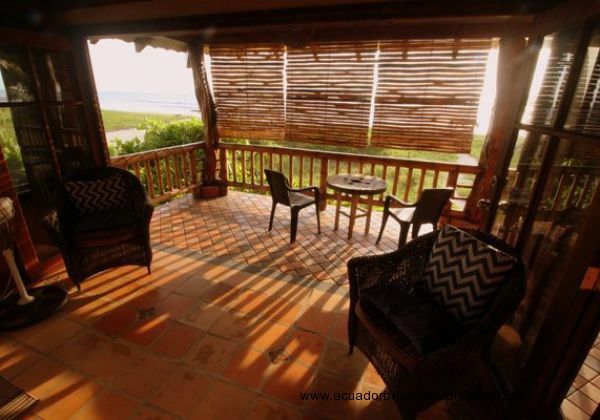 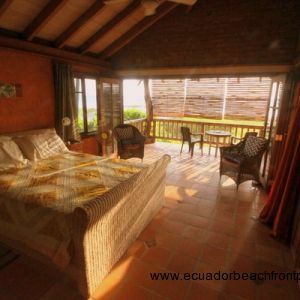 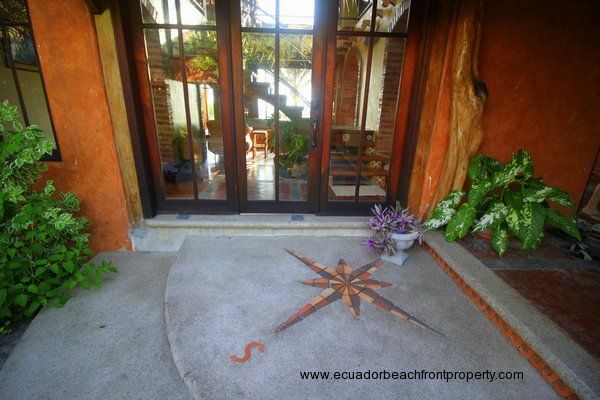 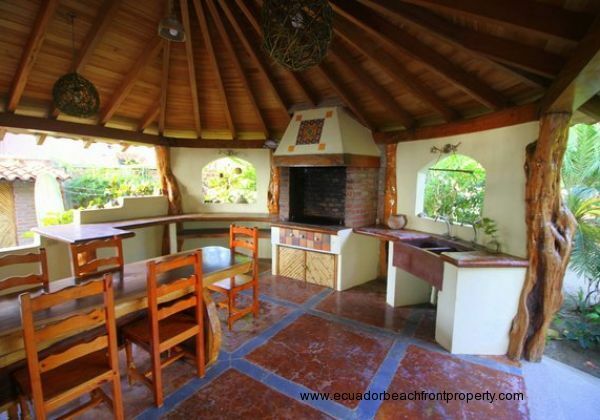 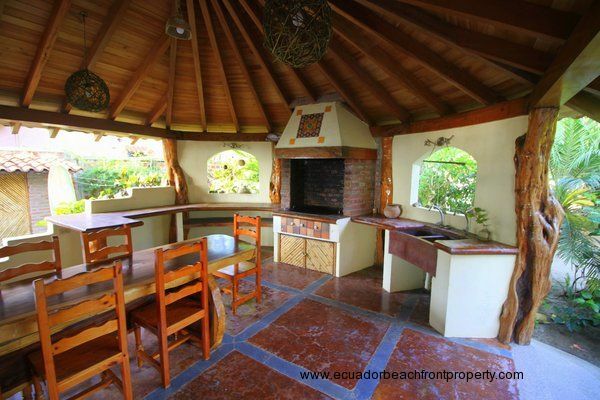 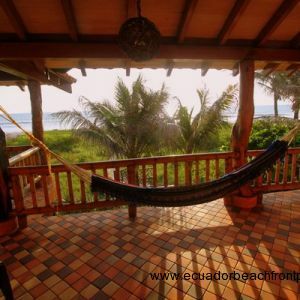 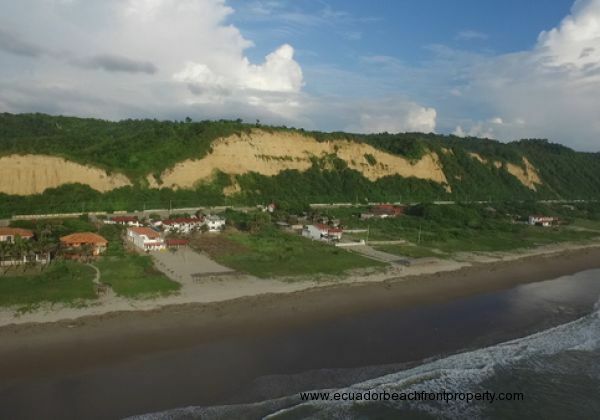 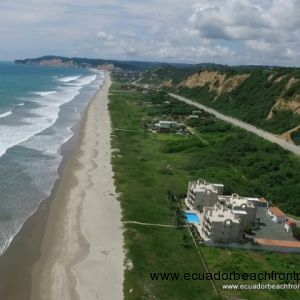 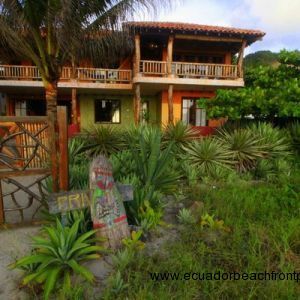 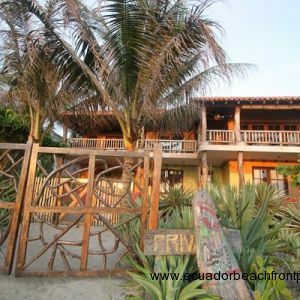 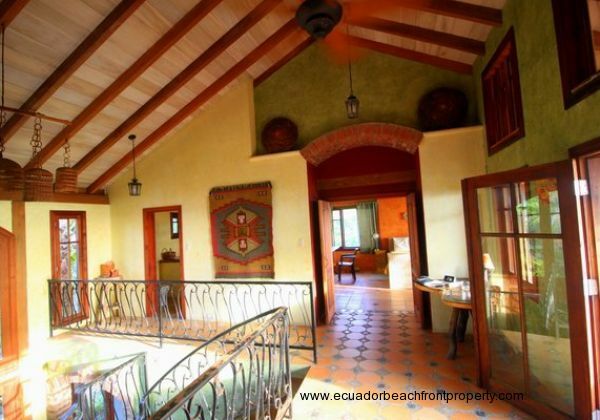 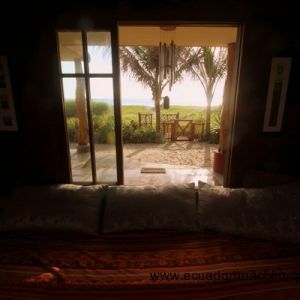 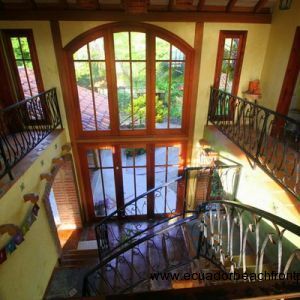 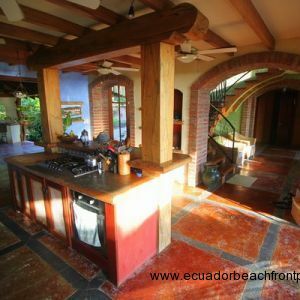 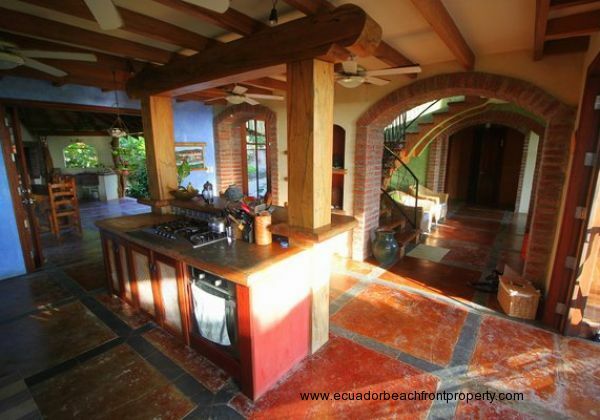 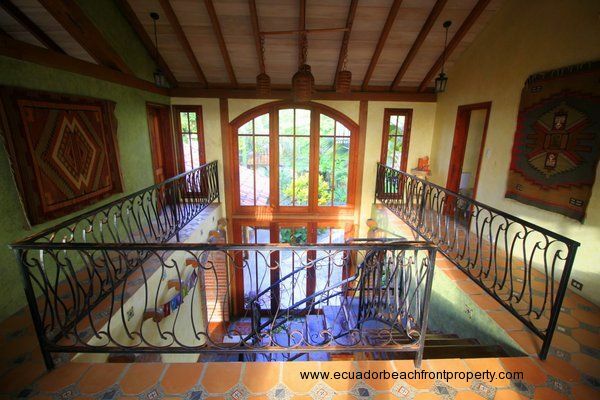 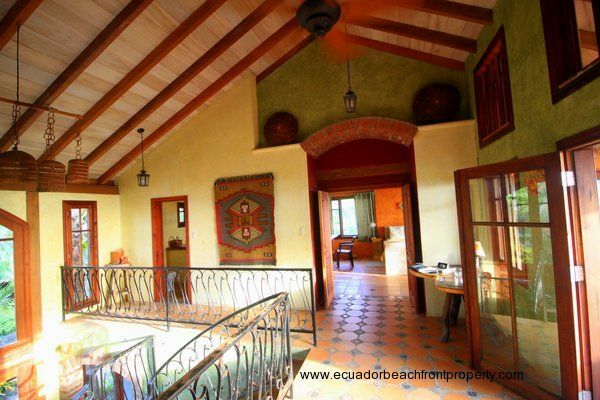 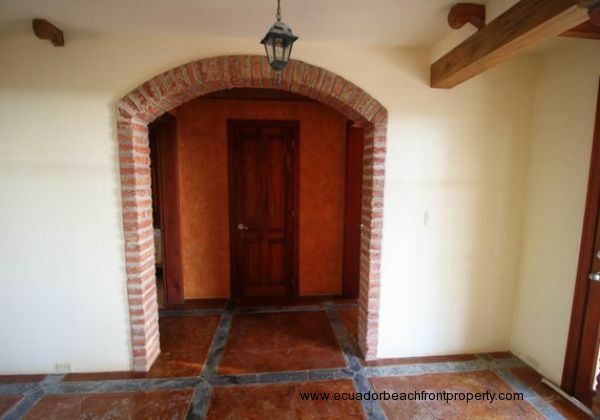 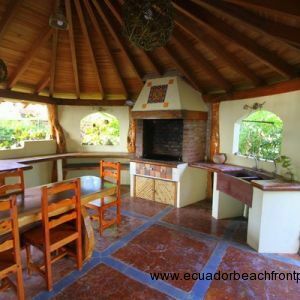 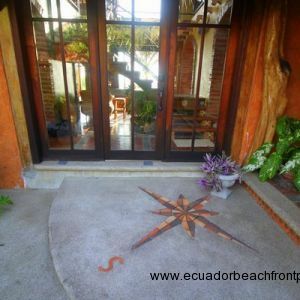 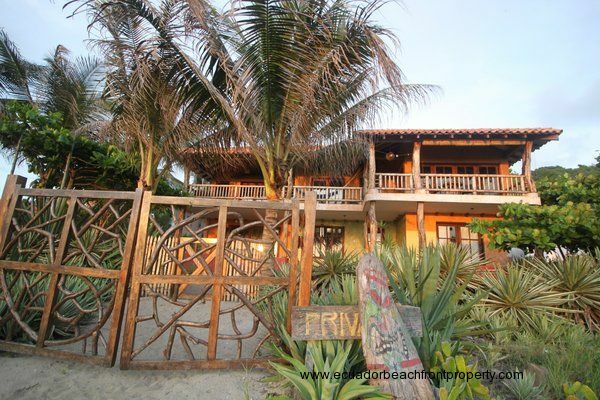 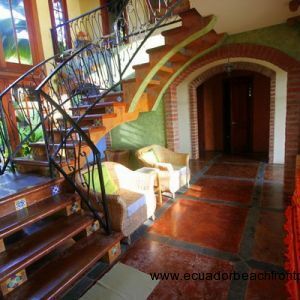 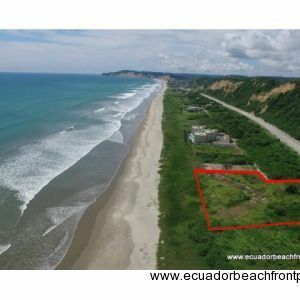 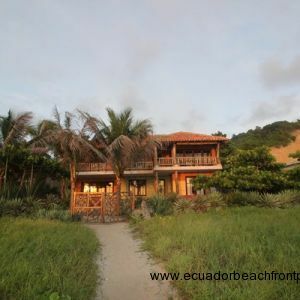 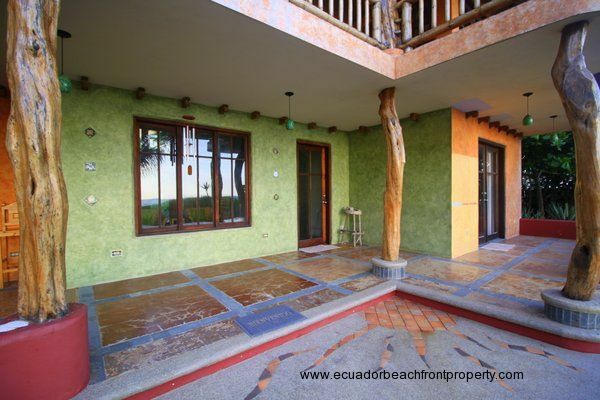 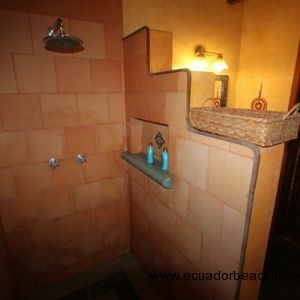 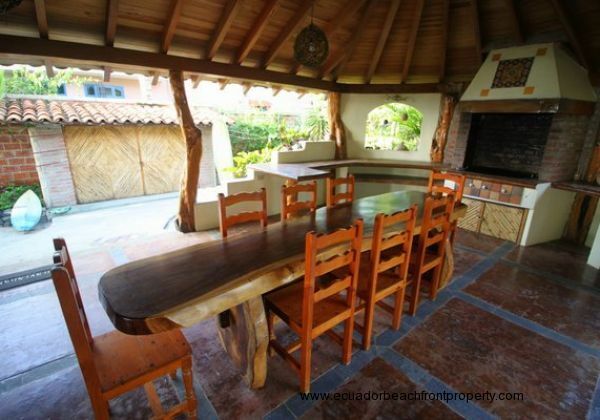 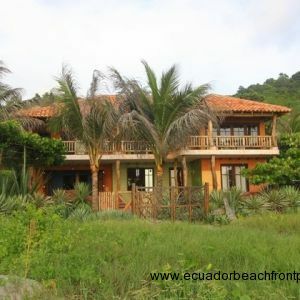 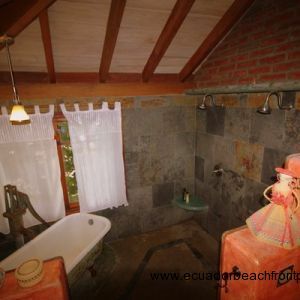 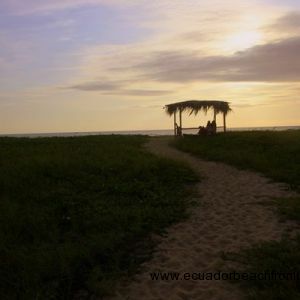 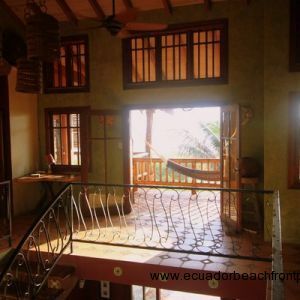 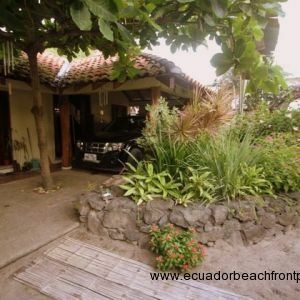 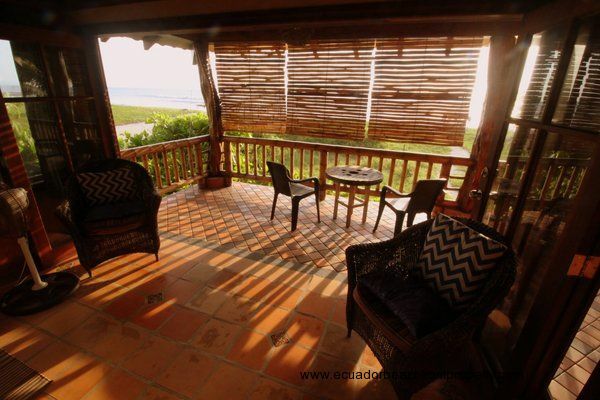 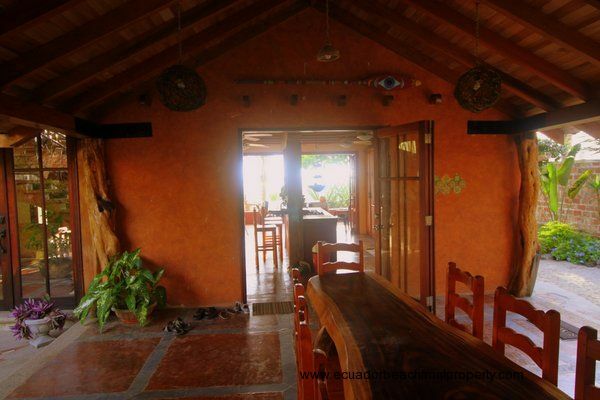 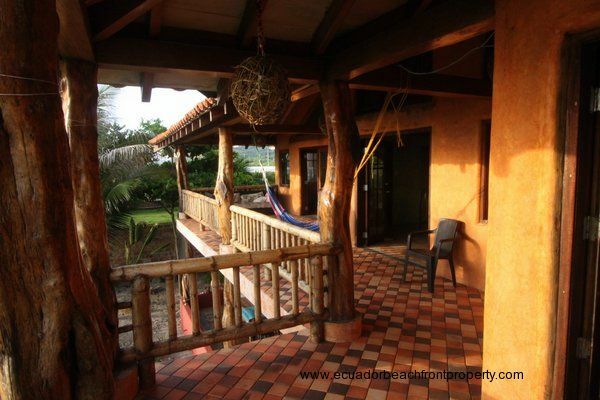 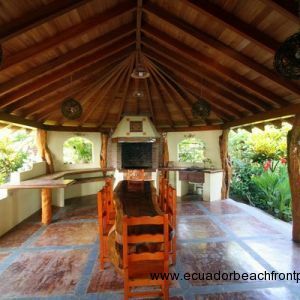 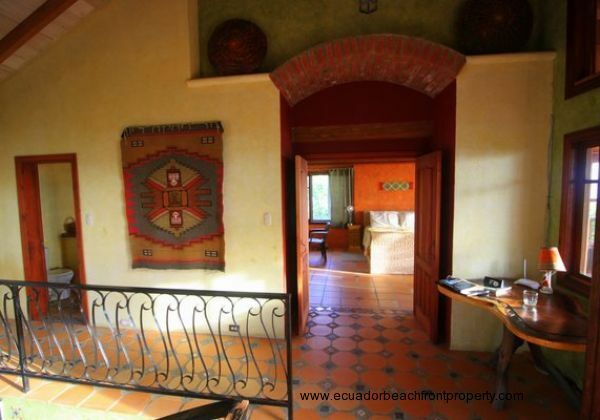 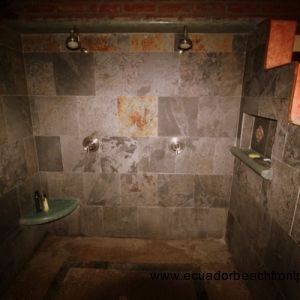 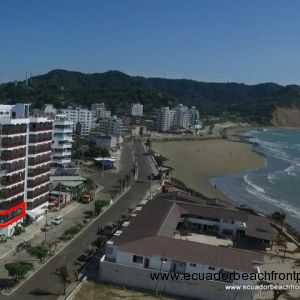 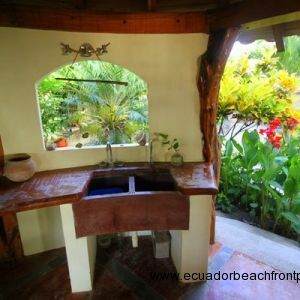 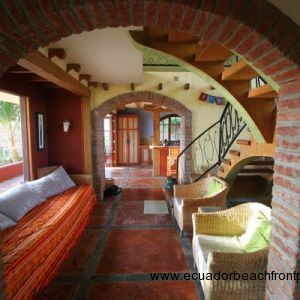 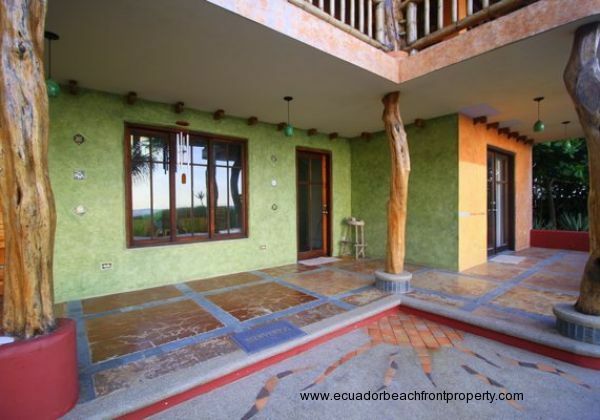 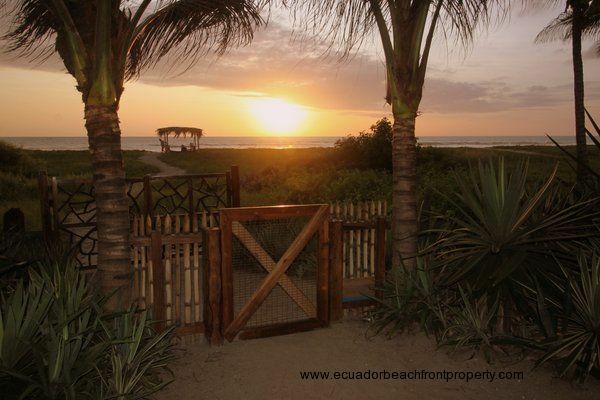 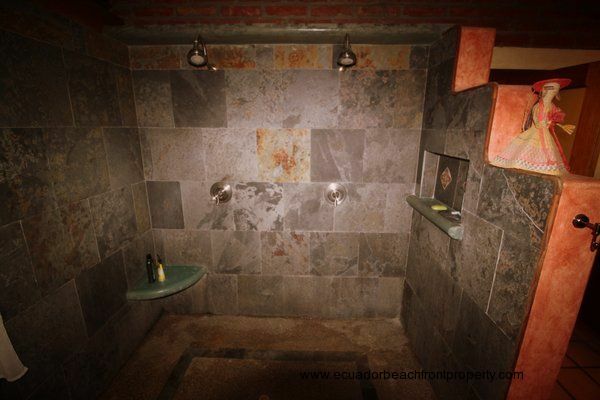 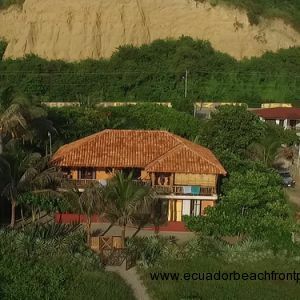 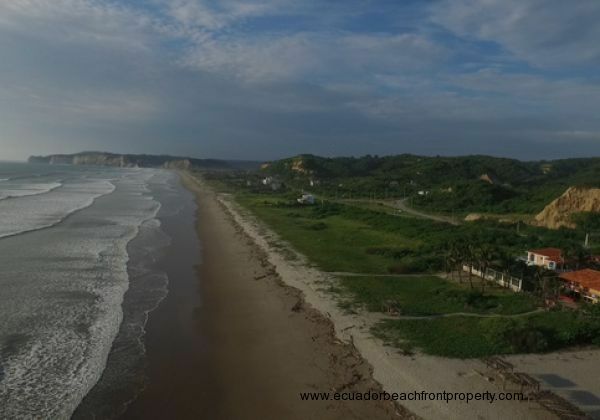 This home is a completely unique offering on the coast of Ecuador and is ready for its new owners to move in and enjoy. 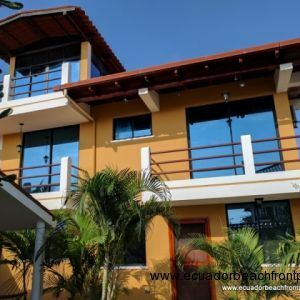 The house is currently being repainted and undergoing a maintenance upgrade to make sure that all systems are in clean working order for its new owners. 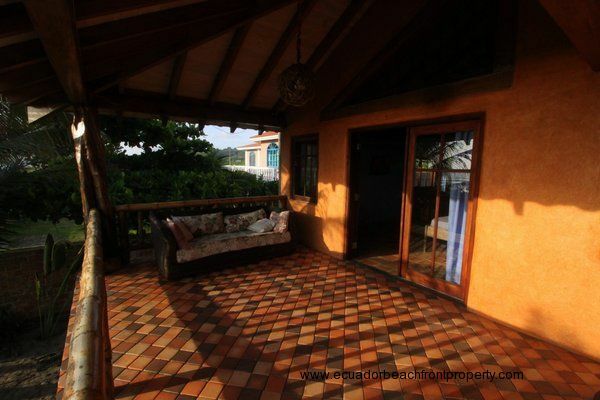 Please contact us via the form below with any questions you might have or to schedule a showing. 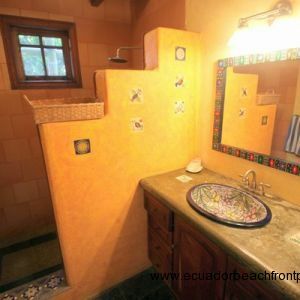 Again, please review the many photos in the slideshow at the top of the page to get a feel for the home and all of its many facets.